Mohandas Karamchand Gandhi was born on 2 October 1869 in Porbandar, a coastal town which was then part of the Bombay Presidency, British India. He was born in his ancestral home, now known as Kirti Mandir. His father, Karamchand Gandhi (1822–1885), who belonged to the Hindu Modh community, served as the diwan (chief minister) of Porbander state, a small princely salute state in the Kathiawar Agency of British India. His grandfather was Uttamchand Gandhi, also called Utta Gandhi. His mother, Putlibai, who came from the Pranami Vaishnava community, was Karamchand's fourth wife, the first three wives having apparently died in childbirth. 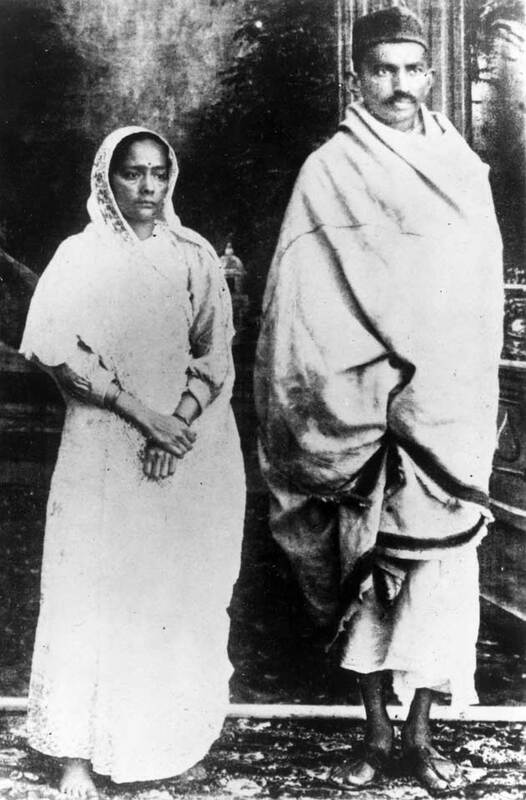 In May 1883, the 13-year-old Mohandas was married to 14-year-old Kasturbai Makhanji (her first name was usually shortened to "Kasturba", and affectionately to "Ba") in an arranged child marriage, according to the custom of the region. In 1885, when Gandhi was 15, the couple's first child was born, but survived only a few days. Mahatma Gandhi's father, Karamchand Gandhi, had also died earlier that year. 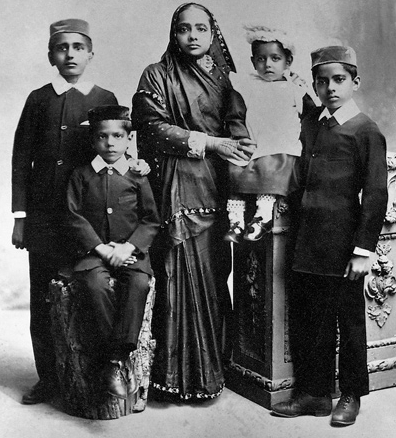 Mohandas Gandhi & Kasturba Gandhi had four more children, all sons: Harilal, born in 1888; Manilal, born in 1892; Ramdas, born in 1897; and Devdas, born in 1900. Mahatma Gandhi was 24 when he arrived in South Africa to work as a legal representative for the Muslim Indian Traders based in the city of Pretoria. He spent 21 years in South Africa, where he developed his political views, ethics and political leadership skills. In 1915, Gandhi returned to India permanently. 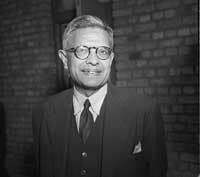 He brought an international reputation as a leading Indian nationalist, theorist and organizer. He joined the Indian National Congress and was introduced to Indian issues, politics and the Indian people. Harilal Mohandas Gandhi (born 1888 – 18 June 1948) was the eldest son of Mohandas Karamchand Gandhi. 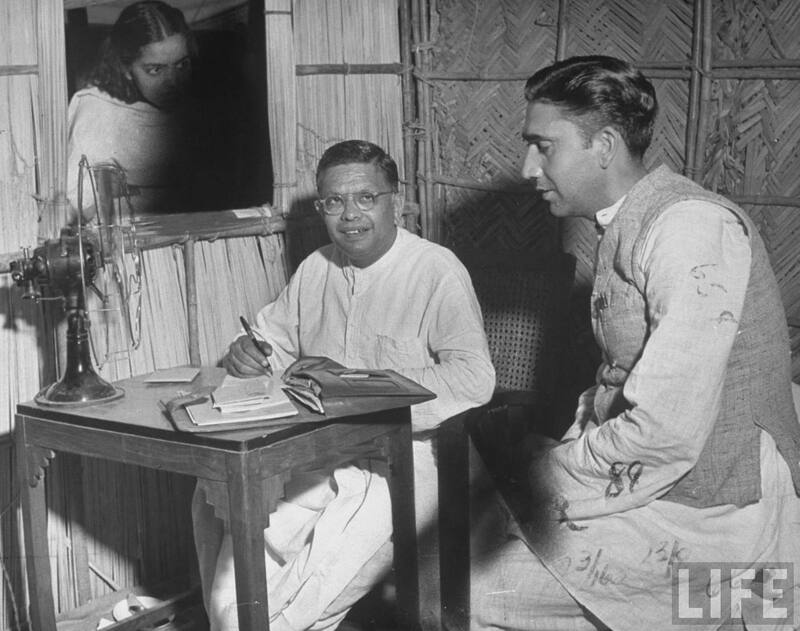 Harilal Gandhi wanted to go to England for higher studies and hoped to become a barrister as his father had once been. His father firmly opposed this, believing that a Western-style education would not be helpful in the struggle against British rule over India. Eventually rebelling against his father's decision, in 1911 Harilal renounced all family ties. Harilal Gandhi converted to Islam for a brief time which did not bother his father who believed that all religions were to be respected. His mother felt he should not be publicly displaying this back-and-forth type of behavior. Harilal Gandhi was married to Gulab Gandhi. They had five children, two daughters Rami Gandhi & Manu Gandhi and three sons Kantilal Gandhi, Rasiklal Gandhi and Shanti Gandhi. None of the children is alive anymore. Rasiklal Gandhi and Shanti Gandhi died in childhood. 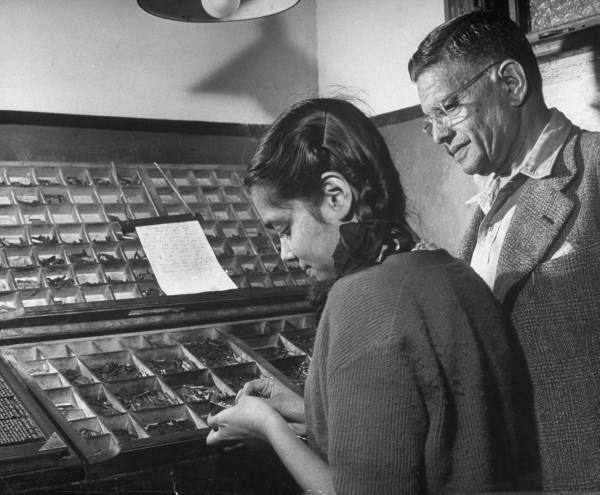 Nilam Parikh, the daughter of Rami Gandhi Parikh, who was the eldest of Harilal's children has written a biography on him, titled Gandhiji's Lost Jewel: Harilal Gandhi. He appeared at his father's funeral in such derelict condition that few recognized him. He died on June 18, 1948, in Shivari Hospital in Bombay. The troubled relationship between Harilal Gandhi and his father is the subject of the film and play Gandhi, My Father. The film adaptation was released on 3 August 2007 and directed by Feroz Abbas Khan and produced by Anil Kapoor. It centres on their stormy relationship. Harilal is portrayed by Akshaye Khanna. Khan's play, Mahatma vs. Gandhi, while different from this film, had a similar theme. Rami Gandhi (Ramiben Gandhi) was born to Harilal Gandhi & Gulab Gandhi. 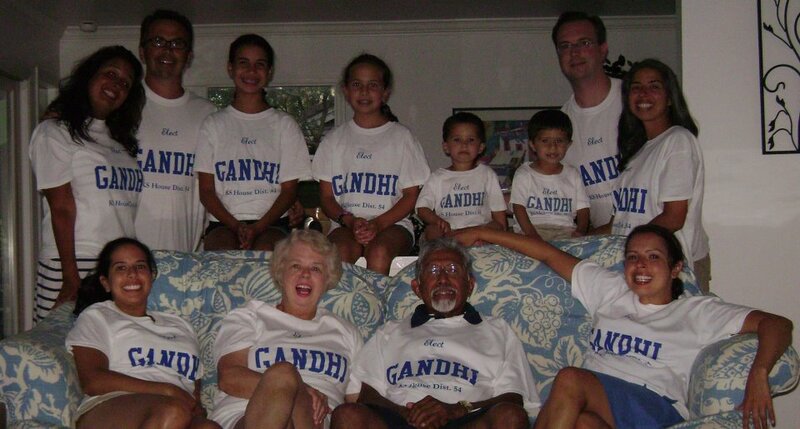 Rami Gandhi Parikh is the granddaughter of Mahatma Gandhi. Rami Gandhi married Kunvarji Parikh. Rami Gandhi Parikh was a homemaker. They have four children, Anasuya, Prabodh, Neelam and Navmalika. 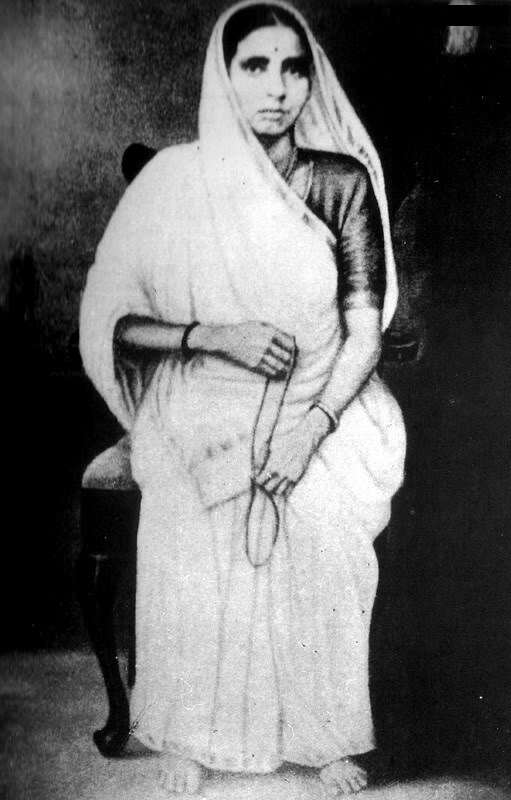 Anasuya Parikh was born to Rami Gandhi Parikh & Kunvarji Parikh. Anasuya Parikh is the granddaughter of Harilal Gandhi & great-granddaughter of Mahatma Gandhi. Anasuya Parikh married Mohan Parikh. They have two children, a daughter Lekhavati Parikh & a son Rahul Parikh. 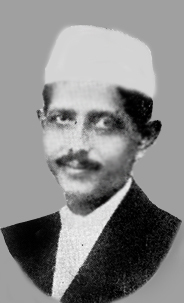 Prabodh Parikh was born to Rami Gandhi Parikh & Kunvarji Parikh. 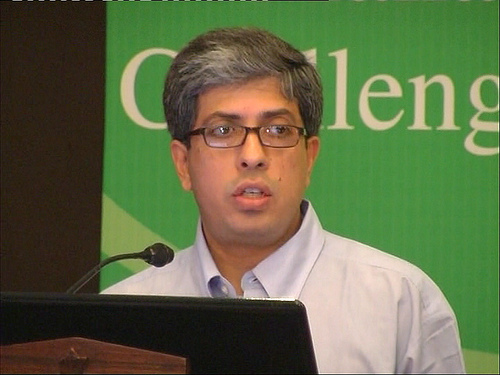 Prabodh Parikh is the grandson of Harilal Gandhi & great-grandson of Mahatma Gandhi. He was a doctor. He did his MBBS/MD in Mumbai but worked in a village in Saurashtra, Gujarat. Prabodh Parikh was married to Madhavi. 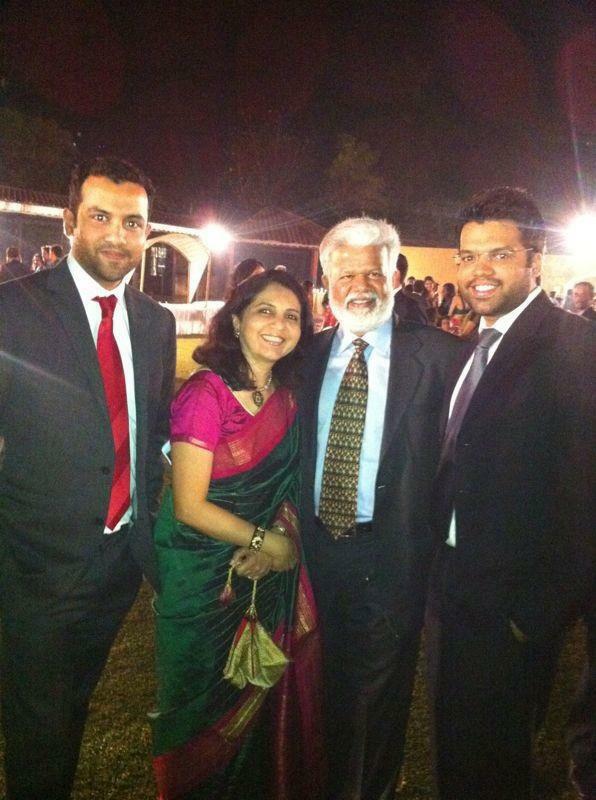 They have two children, a daughter Sonal Parikh & a son Parag Parikh. 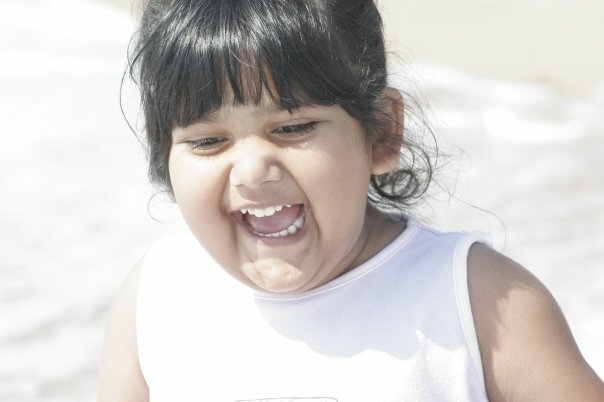 Nilam Parikh was born to Rami Gandhi Parikh & Kunvarji Parikh. Nilam Parikh is the granddaughter of Harilal Gandhi & great-granddaughter of Mahatma Gandhi. Nilam Parikh married Yogendra Parikh. They have one son Sameer Parikh (He is an eye surgeon, runs his own private practice in Navsari). 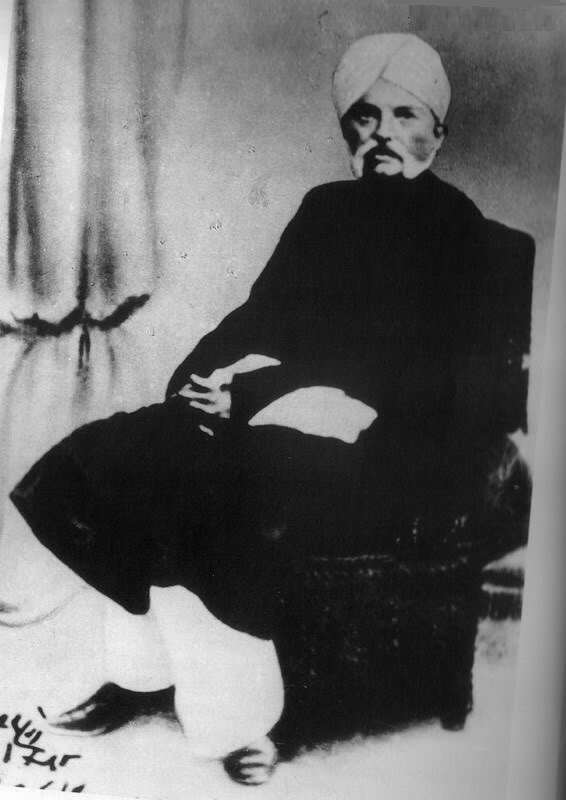 Navamalika Parikh Vajjaria was born to Rami Gandhi Parikh & Kunvarji Parikh. Navamalika Parikh Vajjaria is the granddaughter of Harilal Gandhi & great-granddaughter of Mahatma Gandhi. Navamalika Parikh married Vrajlal Vajjaria. They have three children a son Ravi Vajjaria, two daughters Manisha Vajjaria & Parul Vajjaria. Manorama Gandhi (Manuben Gandhi) was born on April 22, 1917 to Harilal Gandhi & Gulab Gandhi. 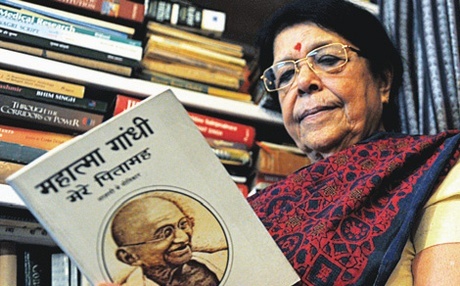 Manorama Gandhi is the granddaughter of Mahatma Gandhi. Manorama Gandhi married Surendra Mashruwala. They have one daughter, Urmi Desai. She is a physiotherapist. Manorama Mashruwala Gandhi died on March 13, 1994 in Ahmedabad, Gujarat, India. 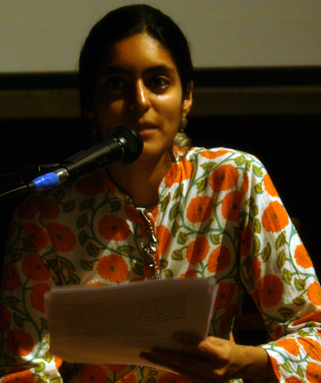 Urmi Desai was born to Manorama Mashruwala Gandhi & Surendra Mashruwala. Urmi Desai was a physiotherapist. Urmi Desai is married to Bhupat Desai, he is a retired IIM Ahmedabad Professor. They have two children, son Mrinal Desai, he is a cinematographer & a daughter Renu Desai, she is an architect. Kantilal Harilal Gandhi was born to Harilal Gandhi & Gulab Gandhi. He was married to Saraswati Gandhi, a malayalee. He was a doctor. He did his MBBS from Mysore. He worked in a dispensary in a mill and treated the workers of the mill. He died in 1983. Saraswati Gandhi had returned to her hometown Thiruvananthapuram in 1983, when her husband, died. Saraswati Gandhi died in Tiruvananthapuram, Kerala, on December 15, 2008. They have two sons. 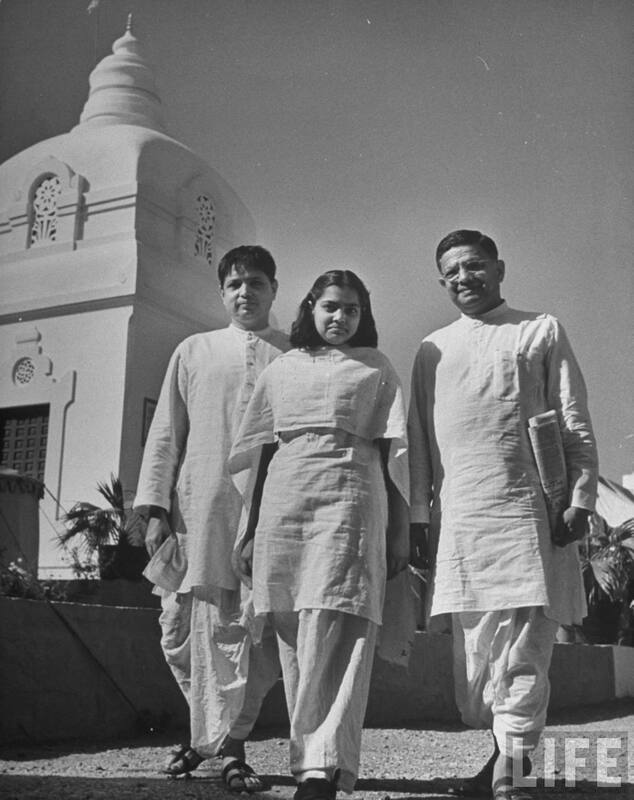 Dr. Shanti Gandhi (b 1940) & Pradeep Gandhi (b 1952). They both live in US. Shanti Kantilal Gandhi was born on Oct 2nd, 1940 to Kantilal Gandhi & Saraswati Gandhi. Dr. Shanti Gandhi is the grandson of Harilal Gandhi & great-grandson of Mahatma Gandhi.He is a cardiovascular and thoracic surgeon and member of Kansas State Legislature elected from 52nd Assembly District, during 2012 general elections. 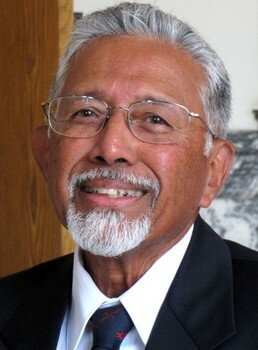 Dr. Shanti Gandhi contested as a Republican Party candidate. He arrived in the US in 1967 as a medical graduate from University of Bombay. He retired as a cardiovascular and thoracic surgeon from Stormont-Vail Hospital at Topeka, Kansas in 2010. Dr. Shanti Gandhi is married to Susan Laforce Gandhi in 1969. They have four daughters, Anita Gandhi (Director of Customer Data & Analysis, Experian Hitwise), Anjali Gandhi (Anji Gandhi) (Assistant Prosecuting Attorney), Ann Gandhi. They also have two granddaughters & two grandsons. Pradeep Kantilal Gandhi was born in 1952 to Kantilal Gandhi & Saraswati Gandhi. Pradeep Gandhi worked as Director - Business Development, Cisco Systems, United States and just recently took the leap and left the corporate world so that he could pursue real estate investing full time. He is married to Mangala (Mangala P. Gandhi). They have two daughters Priya Gandhi & Medha Gandhi (Executive Producer at radio talk Show - Dave & Jimmy Show). Manilal Mohandas Gandhi (28 October 1892 – 4 April 1956) was the second of four sons of Mohandas Karamchand Gandhi and Kasturba Gandhi. Manilal Gandhi was born in Rajkot, India. In 1897 Manilal Gandhi traveled to South Africa for the first time, where he spent time working at the Phoenix Ashram near Durban. After a brief visit to India, in 1917 Manilal Gandhi returned to South Africa to assist in printing the Indian Opinion a Gujarati-English weekly publication, at Phoenix, Durban. By 1918, Manilal was doing most of the work for the press and took over in 1920 as editor. Like his father, Manilal Gandhi was also sent to jail several times by the British colonial government after protesting against unjust laws. He remained editor until 1956, the year of his death. 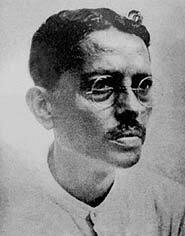 Manilal Gandhi died from a cerebral thrombosis following a stroke. 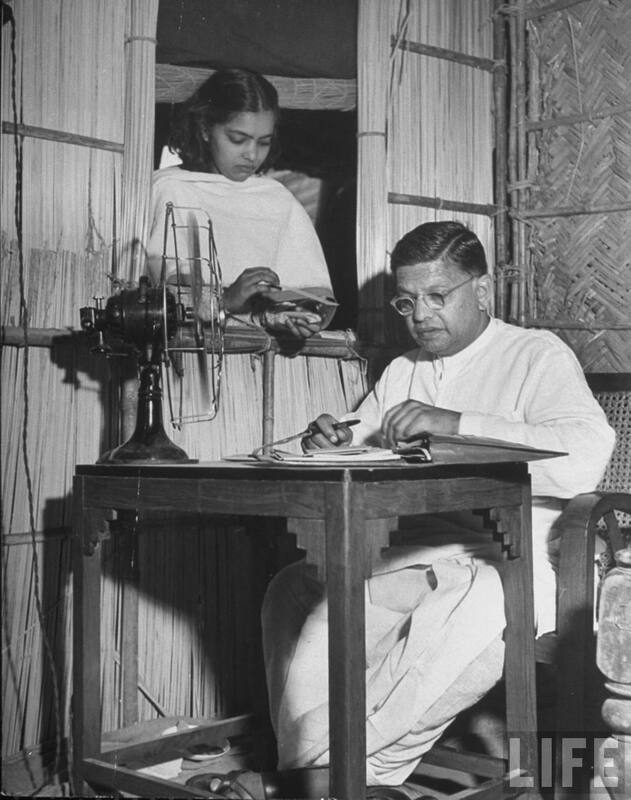 In 1927, Manilal Gandhi married Sushila Mashruwala, and had two daughters, Sita Gandhi Dhupelia (b 1928) and Ela Gandhi (b 1940), and one son, Arun Gandhi (b 1934). Arun and Ela are also social-political activists. Uma Dhupelia-Mesthrie, Manilal Gandhi's Granddaughter (Sita Dhupelia's daughter), recently published a biography on Manilal Gandhi. Sita Gandhi Dhupelia was born on 19th October 1928 at Phoenix Settlement, South Africa to Manilal Gandhi & Sushila Mashruwala Gandhi. 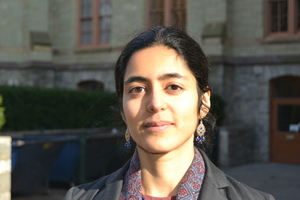 Sita Gandhi Dhupelia is the granddaughter of Mahatma Gandhi. 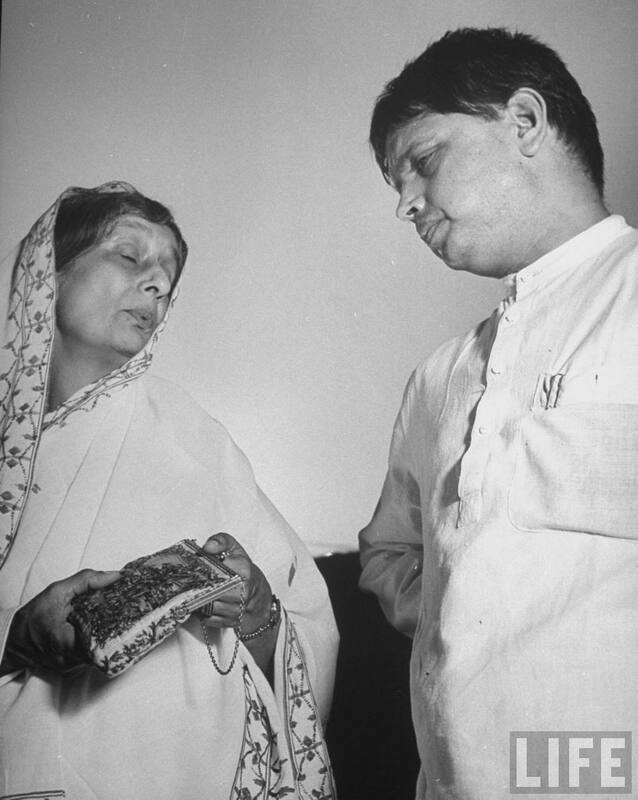 In 1953 Sita Gandhi left Phoenix to marry Shashikant Dhupelia. They lived in central Durban where she began a nursing career at St Aidan’s Hospital. 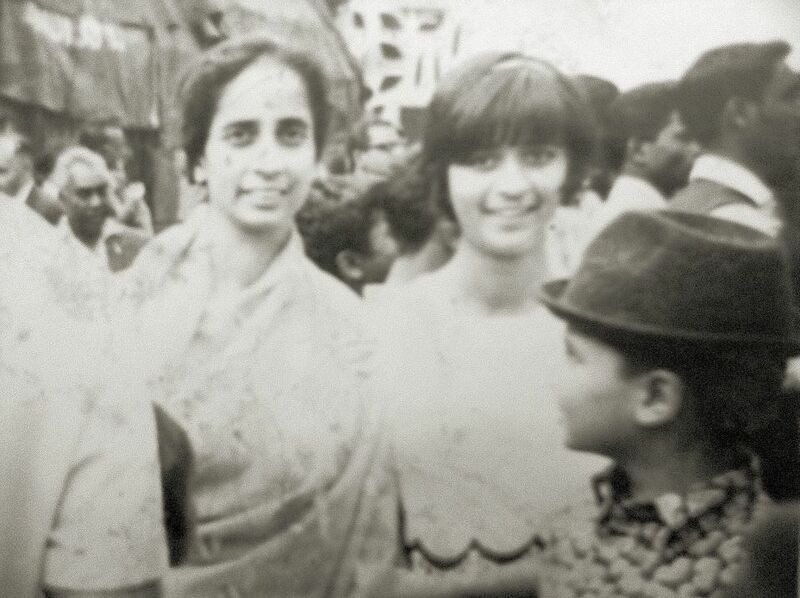 But the birth of her three children Satish Dhupelia (b 1954), Uma Dhupelia-Mesthrie (b 1956) & Kirti Menon (b 1959) put paid to her ambitions to be a nurse. On 16 March 1999 Sita Gandhi Dhupelia died. Satish Dhupelia was born on Nov 19, 1954 to Sita Dhupelia & Shashikant Dhupelia. Satish Dhupelia is the grandson of Manilal Gandhi & the great-grandson of Mahatma Gandhi. He is a photographer. He is the Director of his own company S D Video Enterprises, Durban, South Africa. 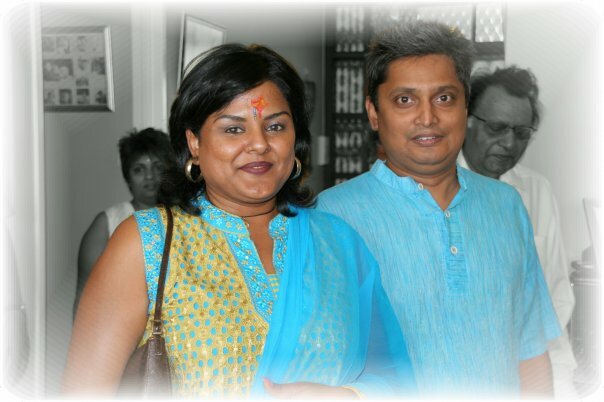 Satish Dhupelia is married to Pratibha Modi. They have three children Misha Dhupelia, Shashika Dhupelia & Kabir Dhupelia. Uma Dhupelia-Mesthrie born in 1956 in Durban to Sita Dhupelia & Shashikant Dhupelia. Uma Dhupelia-Mesthrie is the granddaughter of Manilal Gandhi & the great-granddaughter of Mahatma Gandhi. 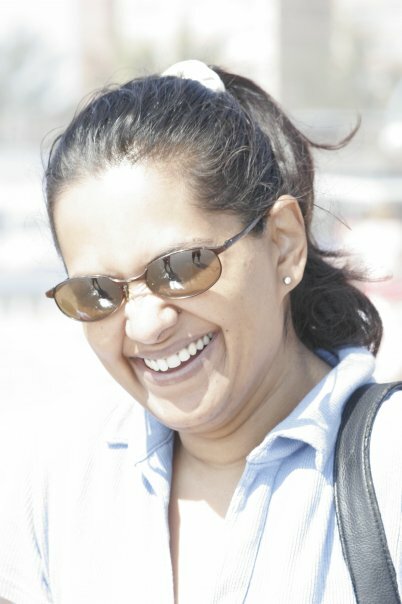 Uma Dhupelia-Mesthrie is an Associate Professor of History at the University of the Western Cape, Cape Town. 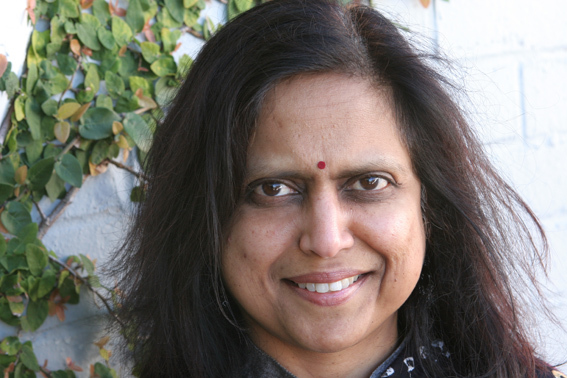 Uma Dhupelia-Mesthrie is recognised as a leading scholar in the field of India-South Africa connected histories. She is the author/editor of three earlier books: Not Slave, Not Free (Shuter and Shooter, Pietermaritzburg, 1992), From Canefields to Freedom: a Chronicle of Indian South African Life (Kwela Books, Cape Town, 2000) and Sita: The Memoirs of Sita Gandhi (Durban Local History Museums and SA History Online, Durban, 2003). 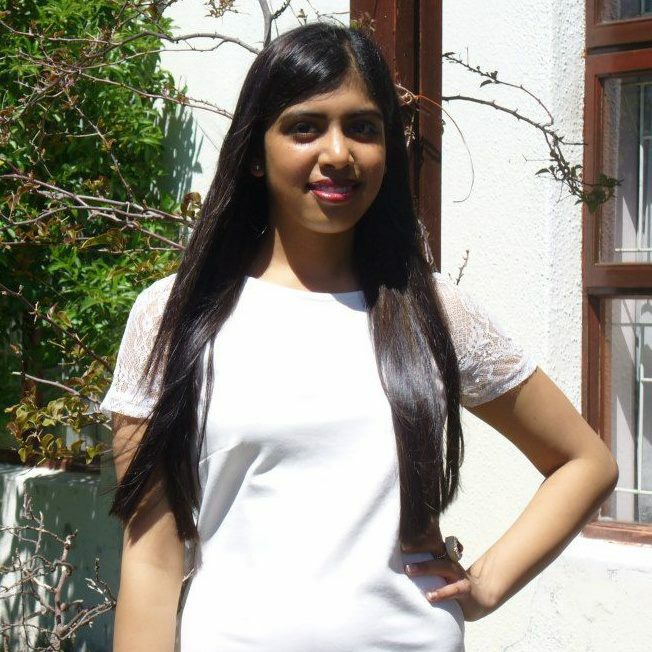 She is currently writing a book about Indians in Cape Town and recent publications deal with archives and biographical knowledge production (Journal of Asian and African Studies, 2011) and Gujarati shoemakers in Cape Town (Journal of Southern African Studies, 2012). 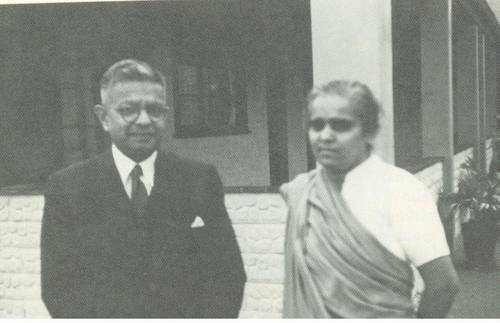 Uma Dhupelia-Mesthrie is married to Rajend Mesthrie, a distinguished linguist of world renown and a pre-eminent scholar of language in South Africa, Indian languages and English around the world. 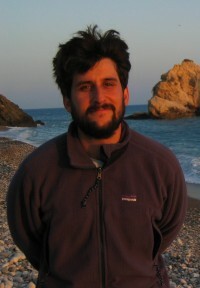 He currently teaches in the Dept of Linguistics, University of Cape Town. They have a daughter named Sapna mesthrie. 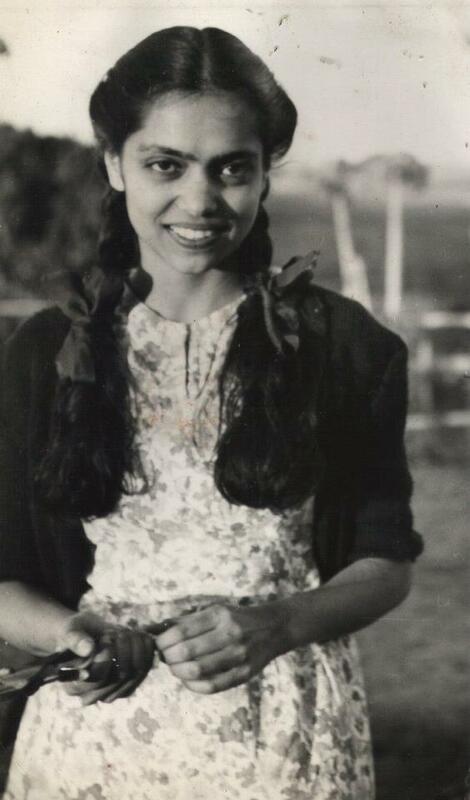 Kirti Menon born in 1959 to Sita Dhupelia & Shashikant Dhupelia. Kirti Menon is the granddaughter of Manilal Gandhi & the great-granddaughter of Mahatma Gandhi. 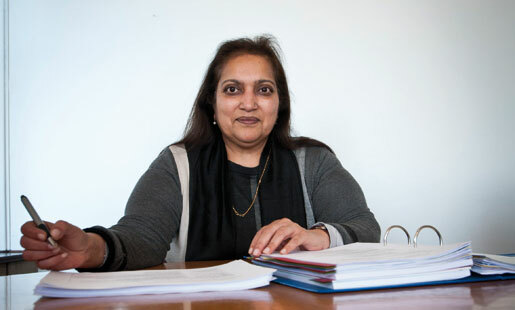 Kirti Menon is appointed as the Registrar of Wits University in June 2011 in Johannesburg, South Africa. Kirti Menon served as the Acting Deputy Director-General for Universities in the National Department of Higher Education and Training (DHET) before joining Wits. Prior to this, she served as the Chief Director for Academic Planning and Development and the Council on Higher Education, where she was responsible for developing the framework for National Reviews as well as for Accreditation. Kirti Menon is married to Sunil Menon. They have a daughter named Sunita Menon. Ela Gandhi was born on July 1st, 1940 in South Africa to Manilal Gandhi & Sushila Gandhi, she is the granddaughter of Mahatma Gandhi. she grew up in an ashram of the Phoenix Settlement near Durban, South Africa. She received her B.A. degree at the former Natal University and later received a B.A. in social science with honors from UNISA. Following graduation, she worked as a social worker with the Verulam Child and Family Welfare Society for 15 years and the Durban Indian Child and Family Welfare Society for five years. Ela Gandhi is a peace activist and was a Member of Parliament in South Africa from 1994-2004, where she aligned with the African National Congress (ANC) party representing the Phoenix area of Inanda in the KwaZulu Natal province. Her parliamentary committee assignments included the Welfare, and Public Enterprises committees as well as the ad-hoc committee on Surrogate Motherhood. She was an alternate member of the Justice Committee and served on Theme Committee 5 on Judiciary and Legal Systems. During apartheid, Ela Gandhi was banned in 1975 from political activism and subjected to house arrest for a total of nine years. She worked underground for an end to the practice. One of her sons was killed during the struggle against apartheid. She was among the members of the United Democratic Front who met with Nelson Mandela prior to his release from Pollsmoor Prison on February 11, 1990. 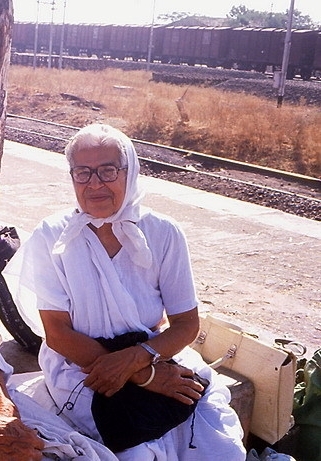 Prior to the 1994 elections, Ela Gandhi was a member of the Transitional Executive Committee. 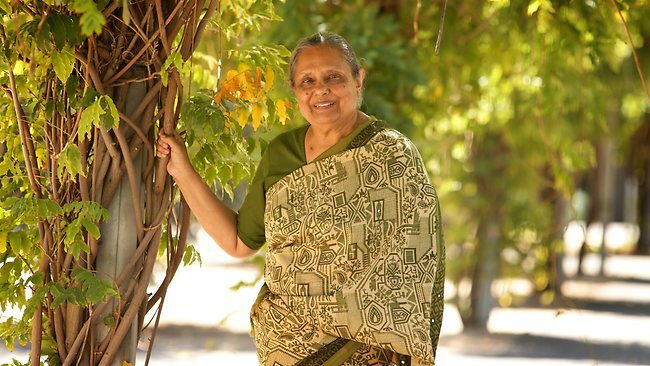 After serving in parliament, Ela Gandhi developed a 24-hour program against domestic violence, founded the Gandhi Development Trust, serves as a member of the Religious Affairs Committee, and oversees a monthly newspaper. She also chairs the Mahatma Gandhi Salt March Committee and the Mahatma Gandhi Development Trust. In 2002, she received the Community of Christ International Peace Award. 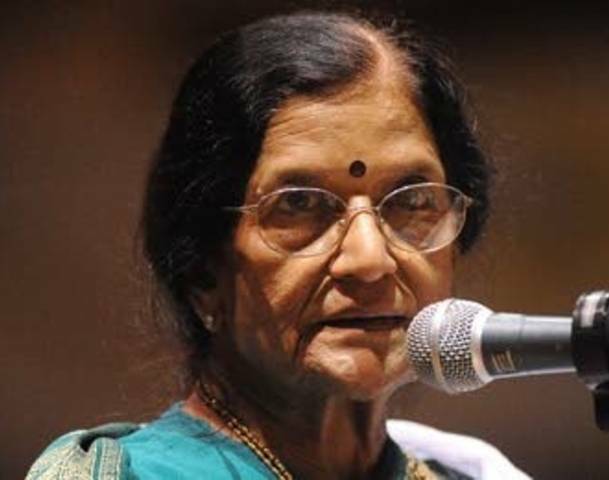 She was conferred Padma Bhushan award from Government of India in 2007. 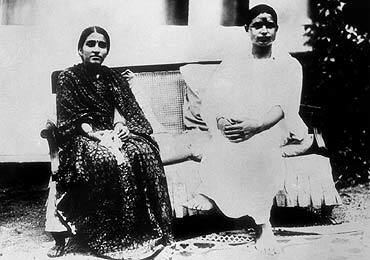 Ela Gandhi married Mawalal Ramgobin (Mewa Ramgobin). They were later got divorced. They have three daughters, Asha Ramgobin, Arti Ramgobin, Ashish Lata Ramgobin and a son, Kidar Ramgobin. Her son, Kush Ramgobin, 29, was killed at home in Verulam in December 16 1993. Asha Ramgobin was born to Ela Gandhi & Mawalal Ramgobin (Mewa Ramgobin). 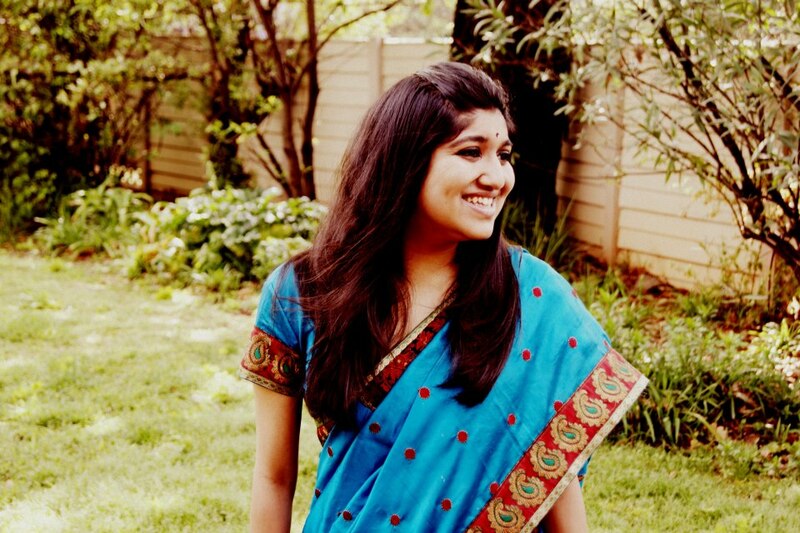 Asha Ramgobin is the granddaughter of Manilal Gandhi & the great-granddaughter of Mahatma Gandhi. Asha Ramgobin, a prominent South African public interest lawyer, is Executive Director of the Human Rights Development Initiative. She is also the President of the Legal Aid Organisations of South Africa and cofounder and trustee of the Association of University Legal Aid Institutions of South Africa Trust. Arti Ramgobin was born to Ela Gandhi & Mawalal Ramgobin (Mewa Ramgobin). Arti Ramgobin is the granddaughter of Manilal Gandhi & the great-granddaughter of Mahatma Gandhi. 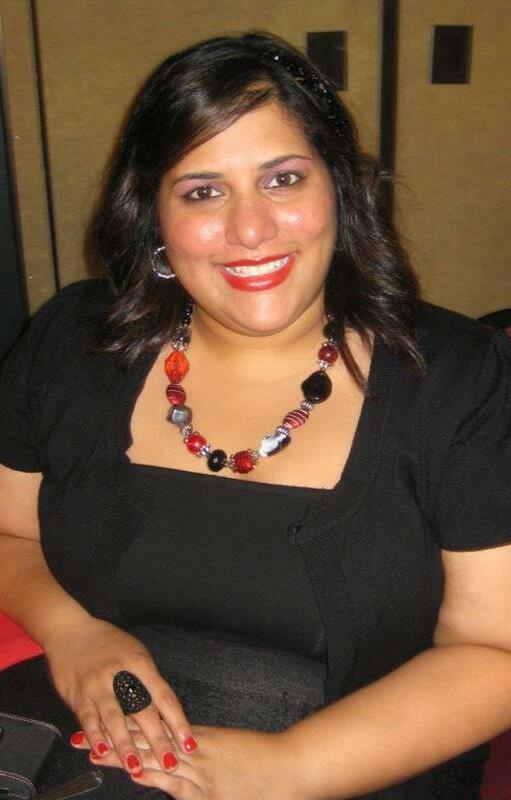 Arti Ramgobin is the Managing Director of African Rejuvenation cc company. Ashish Lata Ramgobin was born to Ela Gandhi & Mawalal Ramgobin (Mewa Ramgobin). Ashish Lata Ramgobin is the granddaughter of Manilal Gandhi & the great-granddaughter of Mahatma Gandhi. 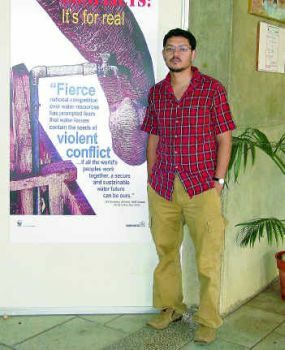 Ashish Lata Ramgobin is the Founder and Executive Director of Participative Development Initiative at International Centre of Nonviolence (ICON) in South Africa. Ashish Lata Ramgobin was married to Mark Choonoo. They were later got divorced. 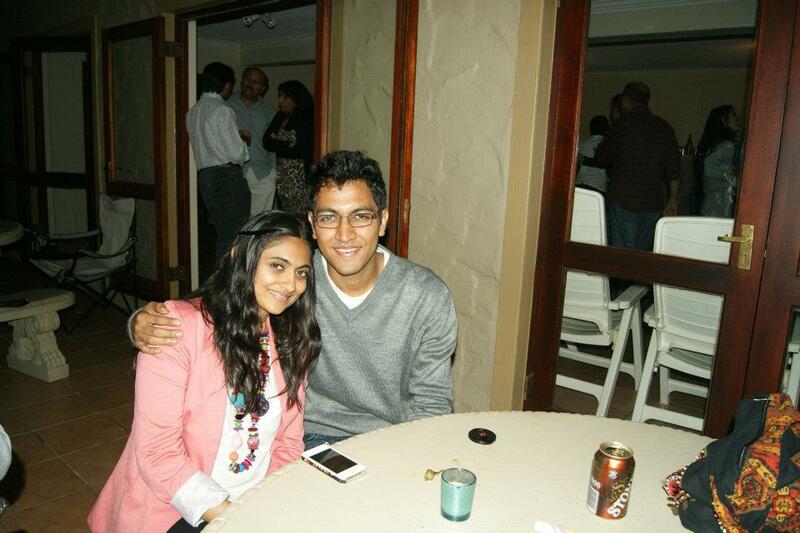 They have two children, son Nikhil Choonoo & daughter Mira Choonoo. 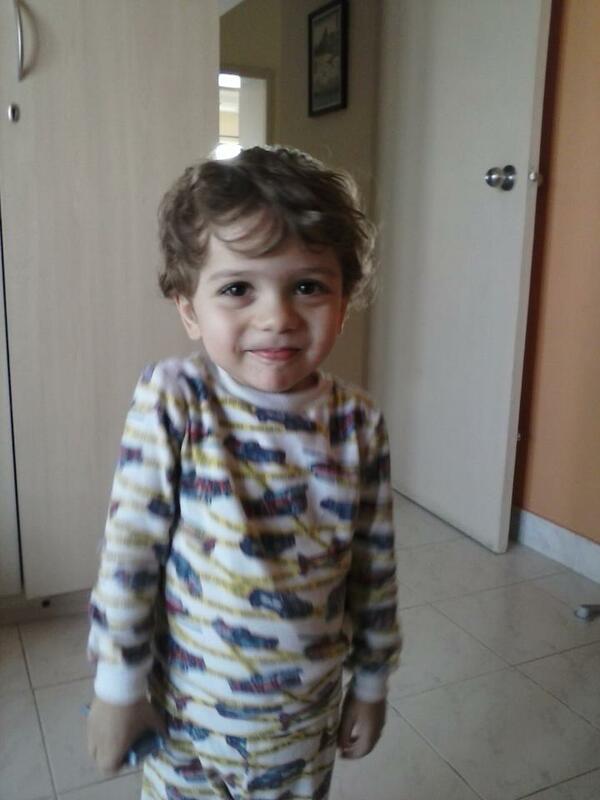 Kidar Ramgobin was born to Ela Gandhi & Mawalal Ramgobin (Mewa Ramgobin). 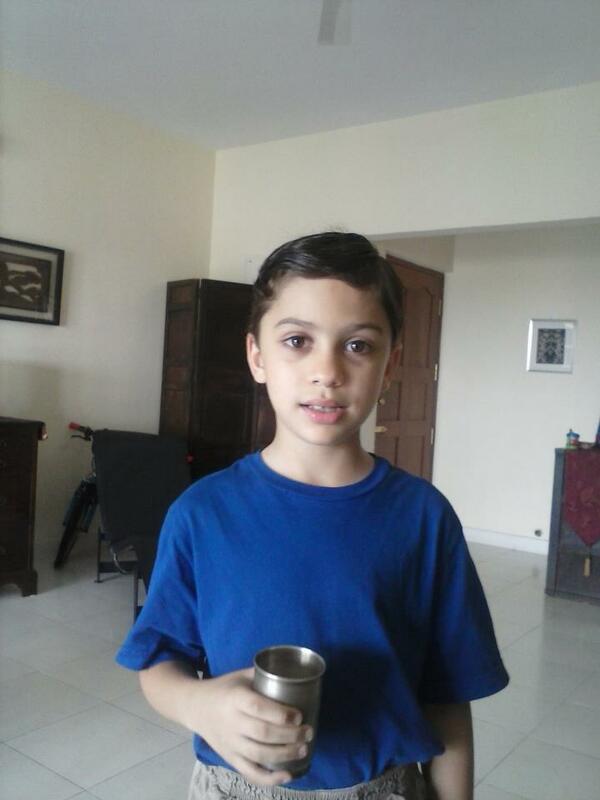 Kidar Ramgobin is the grandson of Manilal Gandhi & the great-grandson of Mahatma Gandhi. 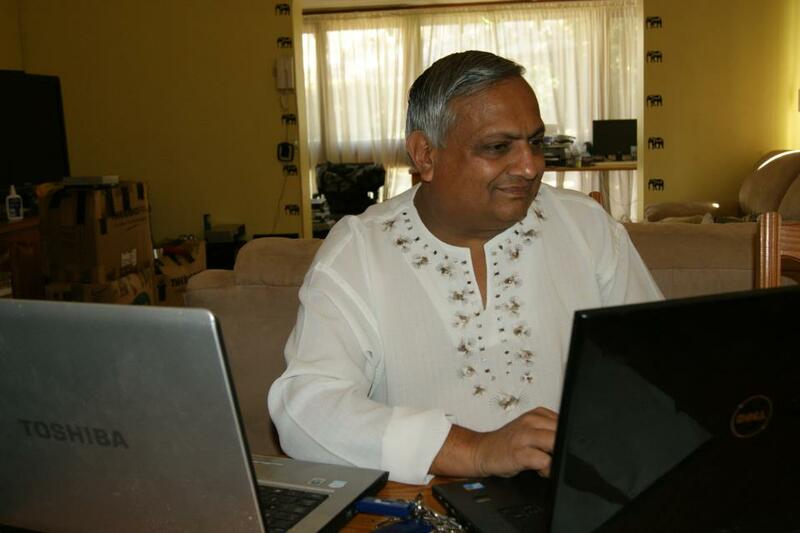 Kidar Ramgobin is a Director at Konserve IT, Durban, South Africa. Kidar Ramgobin is married to Neervana Singh-Ramgobin. Arun Manilal Gandhi was on born April 14, 1934 in Durban, South Africa to Manilal Gandhi & Sushila Gandhi, he is the grandson of Mahatma Gandhi (Mohandas Karmachand Gandhi). Following the footsteps of his grandfather, he is also a socio-political activist, although he eschews the ascetic lifestyle of his grandfather. Arun Gandhi's childhood days under South Africa's apartheid for someone of Indian heritage was difficult. Like many Indians, he was demeaned by Europeans for not being white, ostracized by Africans for not being black, and subject to racially motivated violence from extremists in both groups. 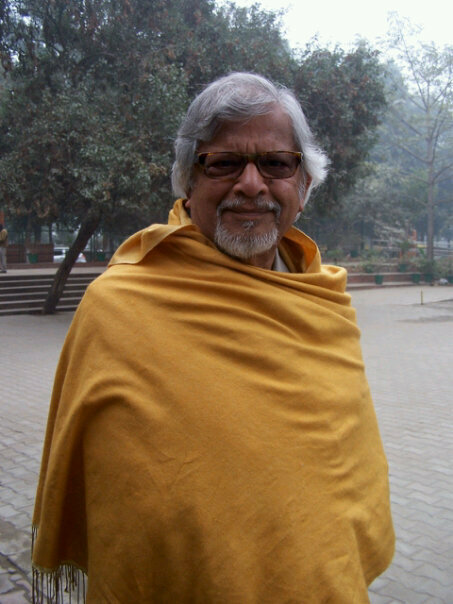 While living with his grandfather Mohandas Gandhi from 1946 until his assassination in 1948, Arun Gandhi experienced the most tumultuous period in India's struggle to free itself from British rule. He saw the first-hand effects of a national campaign for liberation which was carried out through both violent and nonviolent means. 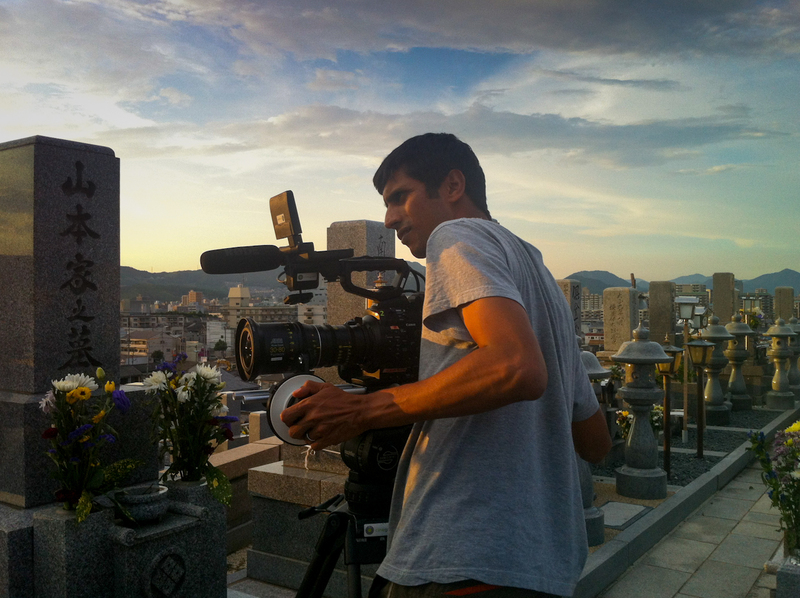 Both the events and his grandfather's teachings strongly influenced Arun. 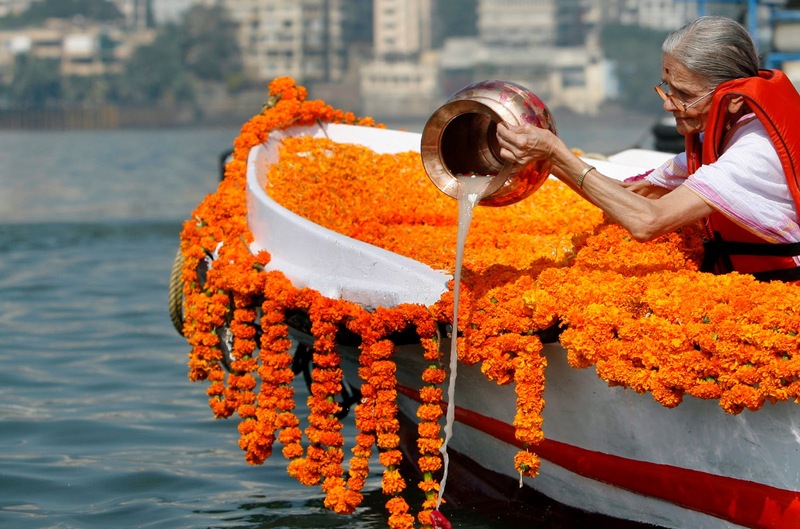 After the death of his father in 1956, Arun went to India to immerse his father's ashes in the River Ganges. 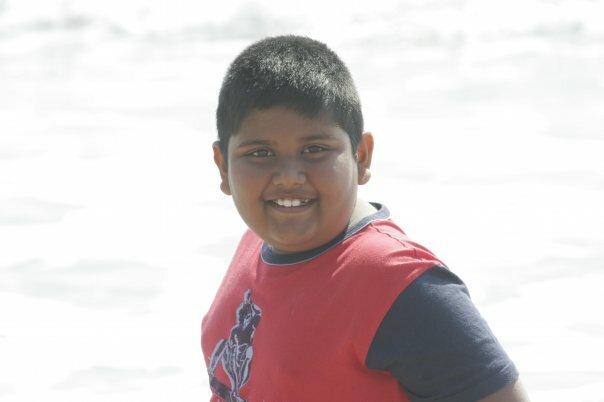 During the trip Arun suffered a severe attack of appendicitis and was hospitalized for surgery. He fell in love with his nurse and later decided to marry her only to be told by the South African Government that his wife would not be allowed entry into South Africa. Arun Gandhi & his wife Sunanda Gandhi decided to live in India, and Arun Gandhi worked for 30 years as a journalist for The Times of India. Together, Arun Gandhi and Sunanda Gandhi started projects for the social and economic uplifting of the oppressed using constructive programs, the backbone of Gandhi’s philosophy of nonviolence. On the 50th anniversary of their wedding Arun Gandhi's wife, Sunanda Gandhi (1932–2007) died of a massive cardiac arrest. The couple have a son, Tushar Gandhi and a daughter, Archana Gandhi Prasad, and four grandchildren. Tushar Arun Gandhi was born on Jan 17th, 1960 to Arun Gandhi & Sunanda Gandhi. Tushar Gandhi is the grandson of Manilal Gandhi & the great-grandson of Mahatma Gandhi. Born on a train between Mumbai and Kolkata, he was raised in the Mumbai suburb of Santa Cruz. He holds a degree in painting from Mithibai College. 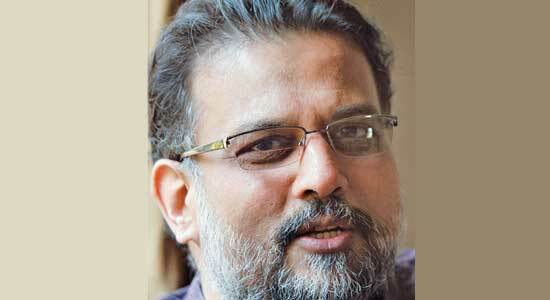 Tushar Gandhi is the Chairman of Australian Indian Rural Development Foundation (AIRDF). Tushar Gandhi wrote a book Let's Kill Gandhi about his great-grandfather Mahatma Gandhi. In March 2005, he led the 75th anniversary re-enactment of the Dandi March. In 2006, he was appointed as a Goodwill Ambassador of the CISRI-ISP Intergovernmental Institution for the use of Micro-algae Spirulina Against Malnutrition. Tushar Gandhi is married to Sonal Desai Gandhi. They have two children, a son Vivan Gandhi and a daughter Kasturi Gandhi. Kasturi Gandhi was so named after Kasturba Gandhi. Tushar Gandhi also runs the Mahatma Gandhi Foundation. Archana Gandhi Prasad was born to Arun Gandhi & Sunanda Gandhi. Archana Gandhi Prasad is the granddaughter of Manilal Gandhi & the great-granddaughter of Mahatma Gandhi. 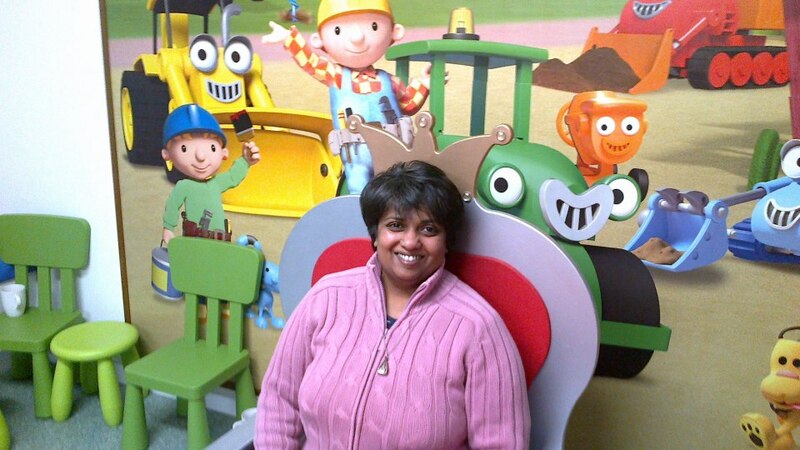 Archana Gandhi Prasad works at the Henrietta Public Library. As a Gandhi family member Archana Gandhi Prasad has shared her life lessons with area school children in the elementary through high school levels. She has also spoken at college retreat programs on nonviolence. On an ongoing basis Archana Gandhi Prasad also gives talks at area Senior Living facilities. Archana Gandhi Prasad has been involved with the Gandhi institute since it was founded by her parents Arun Gandhi & Sunanda Gandhi in Memphis TN. 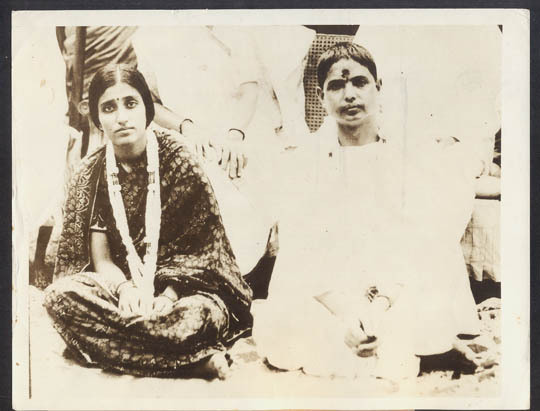 Archana Gandhi Prasad is married to Hari Prasad. 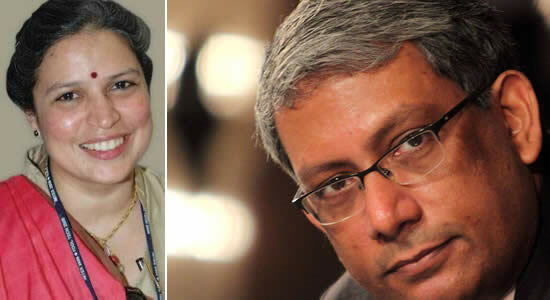 Archana Gandhi Prasad and her husband Hari Prasad have been married for 32 years and have two sons, Anish Prasad (Senior Vice President, Change Management at Oaktree Capital Management, Los Angeles) & Paritosh Prasad (He is a Doctor at Massachusetts General Hospital). Ramdas Mohandas Gandhi (1897–1969) was the third son of Mohandas Karamchand Gandhi. He was born in South Africa in 1897. He outlived his parents and all of his brothers. He and his wife Nirmala Gandhi had three children, Sumitra, Kanu & Usha. He was active in his father's Indian independence movement. He had no taste for asceticism, yet participated in the grueling civil protests of the 1930s. Numerous jailings had serious effects on his health. Born and raised in South Africa, he never adjusted to the idealistic poverty imposed by his father. He had a taste for hunting. He died in the year of his father's centenary. At his father's funeral, Ramdas M Gandhi was the one who lit the fire to start the cremation, as Mahatma had wished for. He was joined by his younger brother Devdas M Gandhi at the funeral. 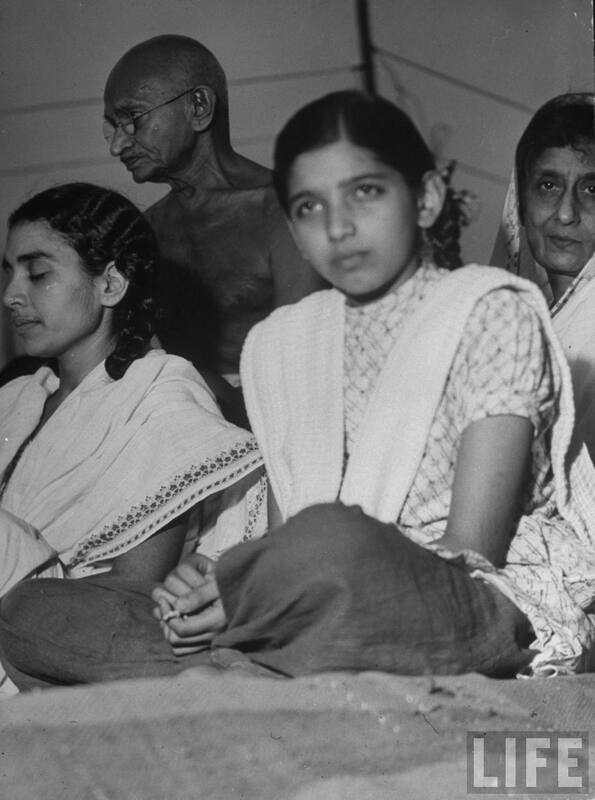 Sumitra Gandhi was born in 1929 to Ramdas Gandhi & Nirmala Gandhi. 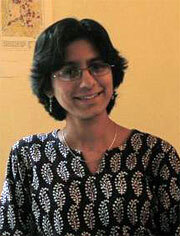 Sumitra Gandhi Kulkarni is the granddaughter of Mahatma Gandhi. Sumitra Gandhi Kulkarni is an ex-IAS officer ex-IAS officer and a former Rajya Sabha MP. Sumitra Gandhi is married to a Prof. Gajanan Kulkarni. He is one of the founder faculty members of IIM (Ahmedabad). They live in Bangalore. They have three children, twin sons Ramachandra Kulkarni, ShriKrishna Kulkarni and a daughter Sonali Kulkarni. Shrikrishna Kulkarni was born to Sumitra Gandhi Kulkarni & Gajanan Kulkarni. Ramchandra Kulkarni is the grandson of Ramdas Gandhi & the great-grandson of Mahatma Gandhi. Shrikrishna is the Business Development Manager at CRL. Prior to joining Cybernetic Research Labs, Shrikrishna has worked as the Managing Director for Panasonic India for 6 years,Fanuc India as its founding Managing Director for 10 years, and with Larsen & Toubro Limited in their Control & Automation Division.Shrikrishna is an Electrical Engineer by profession, and is an alumnus of Delhi University, The University of Tokyo, Japan and Harvard Business School. At present he is the Director of Cybernetic Research Labs, a family owned software company along with his brother Ramchandra Kulkarni. 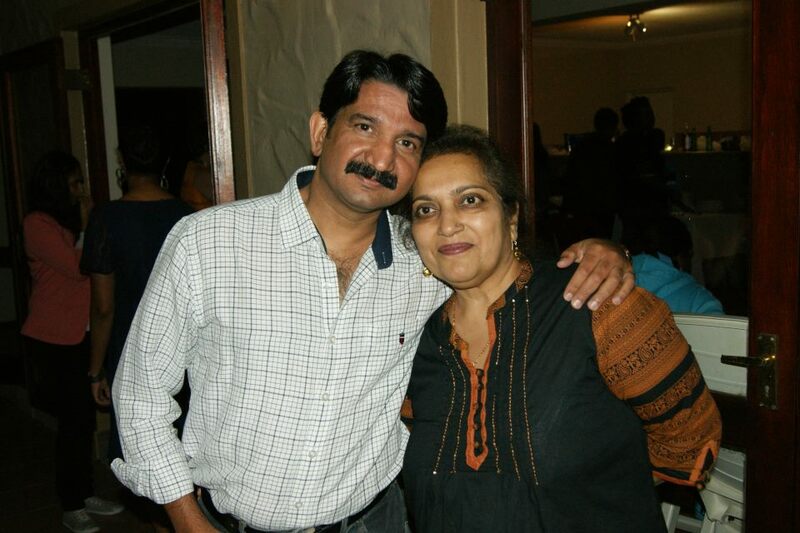 Shrikrishna Kulkarni is married to Nilu Vir (Nilu Shrikrishna Kulkarni). They have a son named Vishnu Shrikrishna Kulkarni. 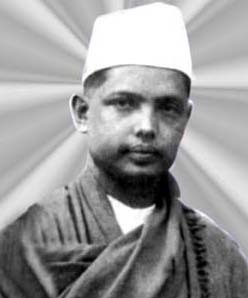 Ramchandra Kulkarni was born to Sumitra Gandhi Kulkarni & Gajanan Kulkarni. Ramchandra Kulkarni is the grandson of Ramdas Gandhi & the great-grandson of Mahatma Gandhi. He studied at University of New Hampshire for a Masters in Computer Science. Ramchandra Kulkarni served as the Special Advisor to the President of Sitra, a public/private Finnish company funded by the Parliament and operated autonomously to promote the economic welfare, growth and competitiveness of Finland within the global marketplace. Prior to Sitra Ramchandra Kulkarni was a member of the Leadership Team of FANUC, Ltd., the world leader in factory automation and robotics. At present he is the Managing Director of Cybernetic Research Labs, a family owned software company along with his brother Shriram Kulkarni. Ramchandra Kulkarni is married to Julia Wrchota-kulkarni. They have two sons named Shiv Kulkarni & Arjun Kulkarni. They now live in Bengaluru, India. Sonali Kulkarni was born to Sumitra Gandhi Kulkarni & Prof Gajanan Kulkarni. Sonali Kulkarni is the granddaughter of Ramdas Gandhi & the great-granddaughter of Mahatma Gandhi. 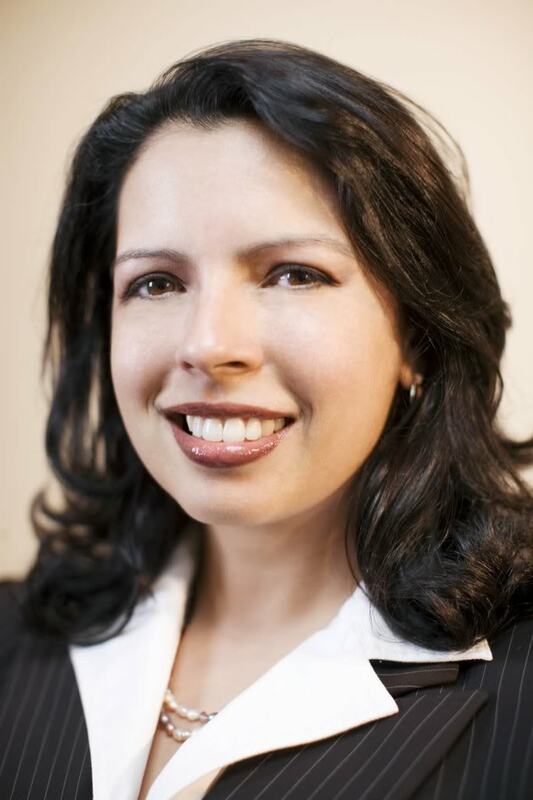 Sonali Kulkarni is the President & CEO at FANUC India Pvt Ltd, Bengaluru, India. Sonali Kulkarni married on Oct 11th, 2010 to Ravi Venkatesan, former chairman of Microsoft Corporation India, now he is a Director on the Board of AB Volvo and Infosys Ltd. and a member of the Advisory Boards of Harvard Business School and Bunge Inc.
Usha Gandhi Gokani was born to Ramdas Gandhi & Nirmala Gandhi. Usha Gokani Gandhi is active with Mani Bhawan, Gandhi Sanghralaya. Usha Gandhi Gokani married Harish Gokani, a businessman, who is no more. 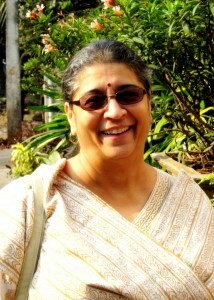 Usha Gokani Gandhi lives in Mumbai. She has two sons. Anand Gokani & Sanjay Gokani. Anand Gokani was born to Usha Gandhi Gokani & Harish Gokani. 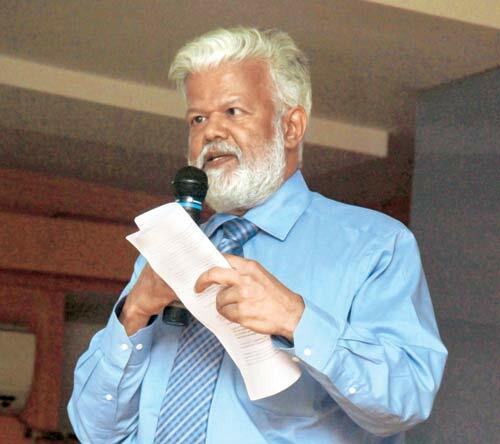 Dr. Anand Gokani is the grandson of Ramdas Gandhi & the great-grandson of Mahatma Gandhi. 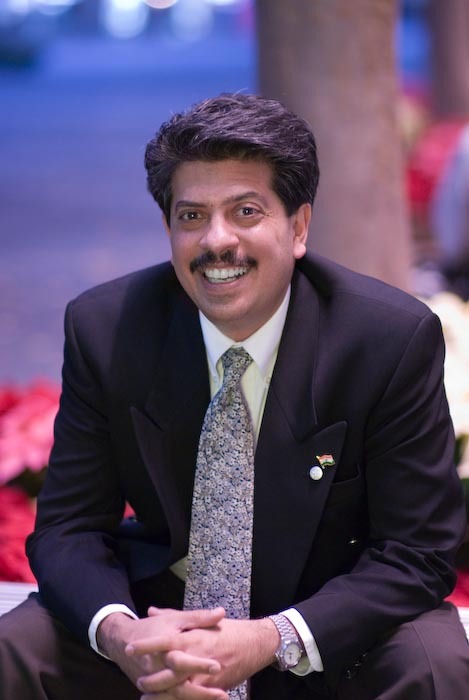 Dr. Anand Gokani is a Consultant Diabetologist, Bombay Hospital., Mumbai, India. Anand Gokani is married to Tejal Gokani. 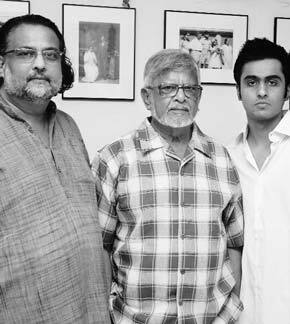 They have two sons, Karan Gokani (He is a Photographer) & Arjun Gokani. Sanjay Gokani was born to Usha Gandhi Gokani & Harish Gokani. Sanjay Gokani is the grandson of Ramdas Gandhi & the great-grandson of Mahatma Gandhi. 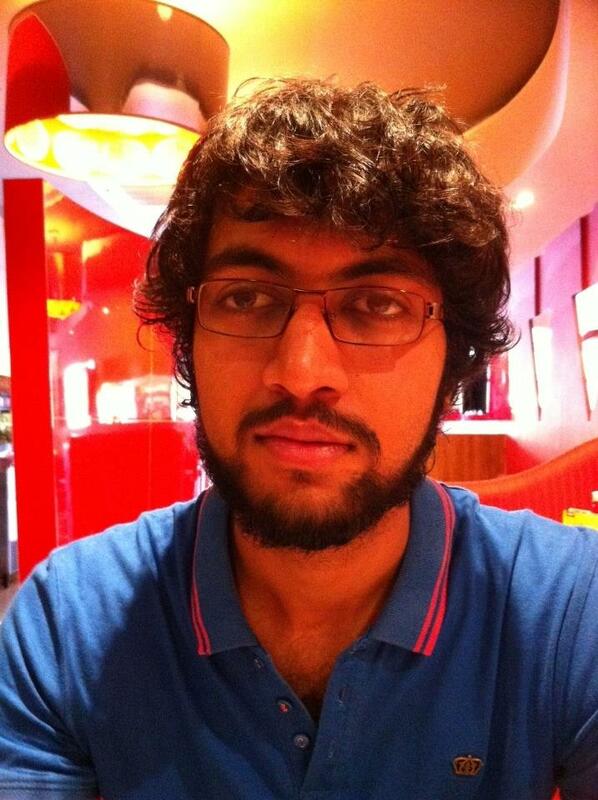 He works with a software company in Calgary, Alberta, Canada. Sanjay Gokani is married to Manisha Sharma Gokani. They have a son Akshay Gokani. 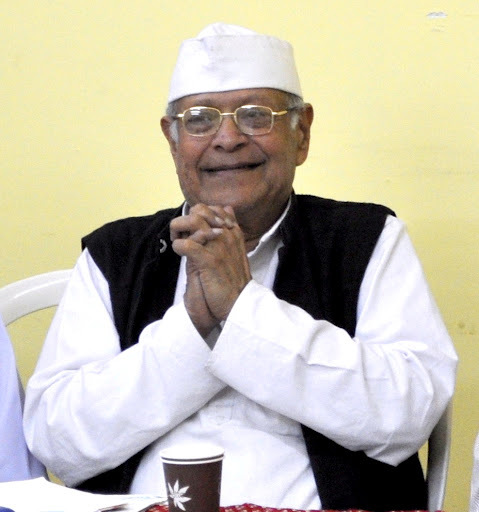 Kanu Ramdas Gandhi was born in 1928 to Ramdas Gandhi & Nirmala Gandhi. 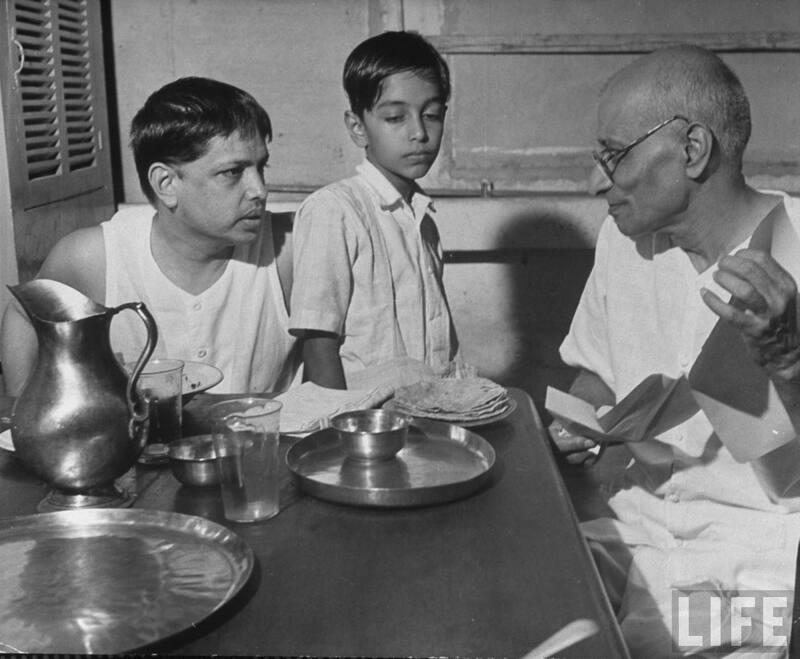 At the age of 3 years, Kanu Gandhi was the only grand child to be adopted by Mahatma Gandhi and personally raised under his own day to day supervision. Kanu Gandhi was a former American Defense Scientist who worked for NASA. Kanu Gandhi is married to Shivalaxmii. They live in US. They have no children. Devdas Mohandas Gandhi was born in South Africa in 1900. He was the youngest son of Mohandas Karamchand Gandhi. He returned India with his parents. He became active in his father's movement, spending many terms in jail. He spent a lot of time with his father. 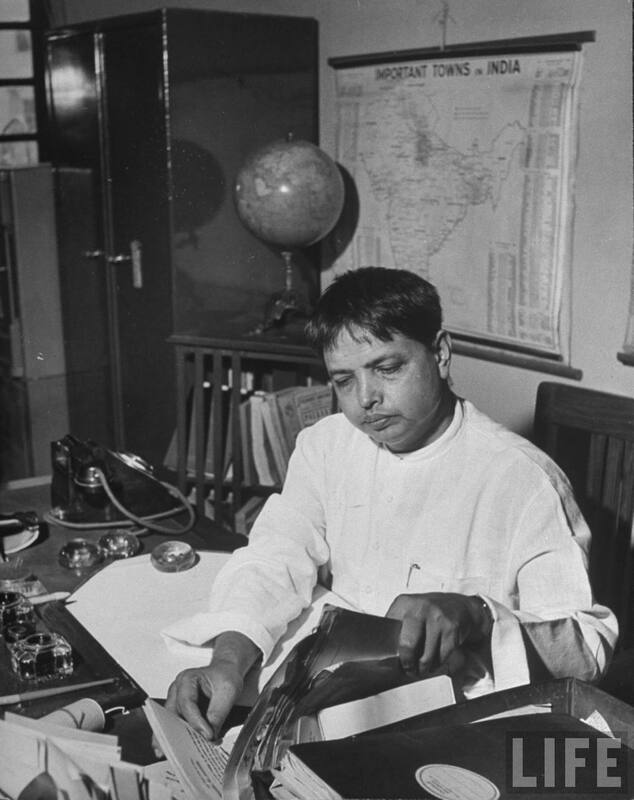 He also became a prominent journalist, serving as editor of Hindustan Times. Devdas Gandhi fell in love with Lakshmi, the daughter of Rajaji, Devdas Gandhi's father's associate in the Indian independence struggle. Due to Lakshmi's age at that time – she was only fifteen, whereas Devdas Gandhi was twenty eight years – both Devdas Gandhi's father and Rajaji asked the couple to wait for five years without seeing each other. After five years had passed, they were married with their fathers' permissions in 1933. 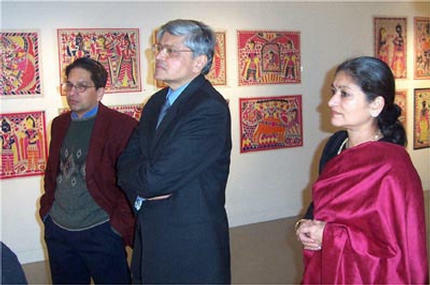 Devdas Gandhi and Lakshmi have four children, Rajmohan Gandhi, Gopalkrishna Gandhi, Ramchandra Gandhi & Tara Bhattacharjee Gandhi. 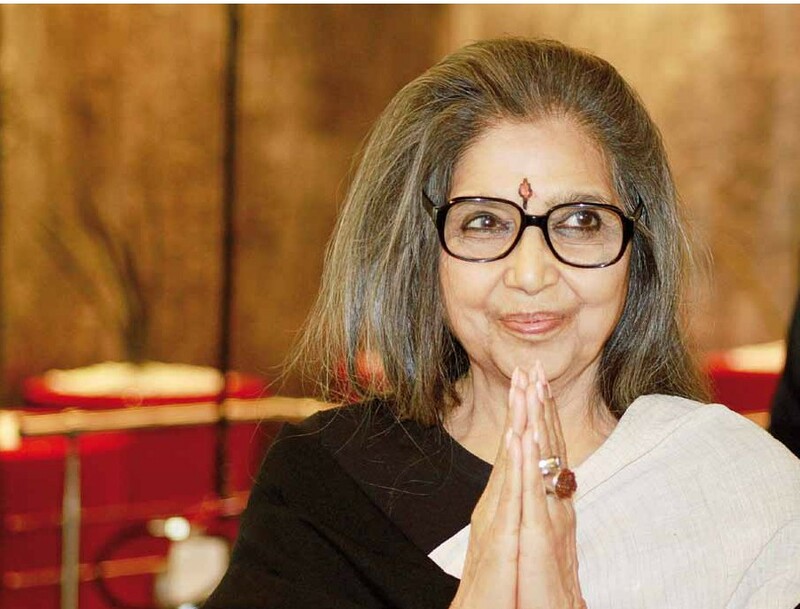 Tara Gandhi Bhattacharjee was born on 24th of April in 1934 in New Delhi to Devadas M. Gandhi & Lakshmi Devdas Gandhi, granddaughter of Mahatma Gandhi. Tara Bhattacharjee Gandhi maternal grandfather was C. Rajagopalachari, free India's first Head of State, the first Indian Governor General of independent India and one of the foremost fighters for Indian independence. Tara Gandhi Bhattacharjee’s childhood was peopled by freedom fighters and leaders who laid the foundation for an independent India. There was a time when, as a sprightly little girl growing up in Delhi in the 1940s, Tara Gandhi Bhattacharjee bore witness to World War II, the tumultuous run-up to India’s freedom, its tragic partition and Gandhi’s assassination in 1949. 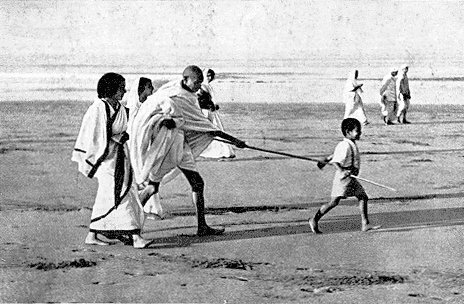 The eldest child of Devadas M. Gandhi & Lakshmi Gandhi, Tara Gandhi Bhattacharjee remembers being part of Gandhi’s evening prayers in Delhi, visiting him at the Aga Khan Palace where he was put under house arrest along with Kasturba and his secretary Mahadev Desai, and later meeting him in Shimla during her summer break from school. Gandhi’s Satyagrah, his efforts to end social disparities at Harijan Ashram, his compassion for anyone who came seeking advice, and his life as a family man, a parent, a grandfather are all seen through the prism of a young Tara Bhattacharjee Gandhi’s impressions. Tara Gandhi Bhattacharjee is the Vice-Chairperson of Gandhi Smriti and Darshan Samiti and Kasturba Gandhi National Memorial Trust. Gandhi Smriti is the site of Martyrdom of Mahatma Gandhi for truth and Non-violence. 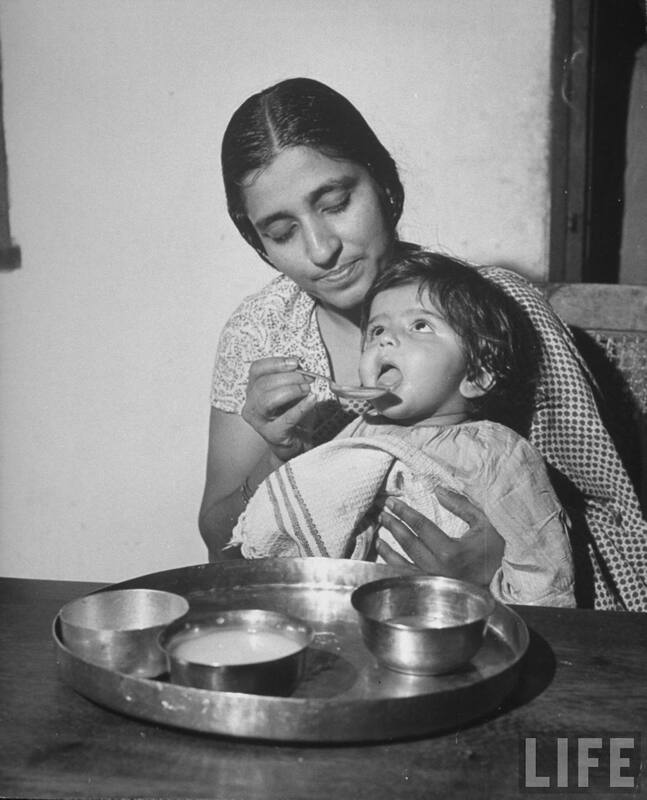 Tara Gandhi Bhattacharjee’s husband was late Dr. Jyoti Prasad Bhattacharjee, he was a director at the United Nations' Food and Agriculture Organisation leading economist. They have two children daughter Sukanya Bharatram & son Vinayak Bhattacharjee. Sukanya Bharatram was born on 6th July, 1959 in New Delhi to Tara Gandhi Bhattacharjee & Dr. Jyoti Prasad Bhattacharjee. Sukanya Bharatram's grandfather was Devdas Gandhi & great-grandfather's are Mahatma Gandhi & C. Rajagopalachari, free India's first Head of State, the first Indian Governor General of independent India and one of the foremost fighters for Indian independence. She did her MSBA (Master of Science in Business Administration) in 1983 from Boston University, Metropolitan College. Sukanya Bharatram , trustee of the Shri Ram Education Trust is also in the governing council of Lady Shri Ram College since 1992 and trustee of Sarvodya International Trust, Delhi; chairperson of the Akshar Cultural Trust; former member of the National Commission for the Protection of Child Rights and National Institute of Fashion Technology. She is also the President of Kasturba Gandhi Memorial Trust, Delhi ,which provides educational and health services to rural communities. Currently she has been actively involved with Gandhi Smriti and Darshan Samiti. In recognition of her understanding of the issues related to women & children,Mrs. Bharatram has been nominated to the Women & Child Ministry’s Working Group for the 12th Five Year Plan in matters relating to preschool children and adolescents. Sukanya Bhattacharjee (Sukanya Bharatram) is married to Vivek Bharatram, he is the chairman of Shri Ram New Horizons India Ltd. 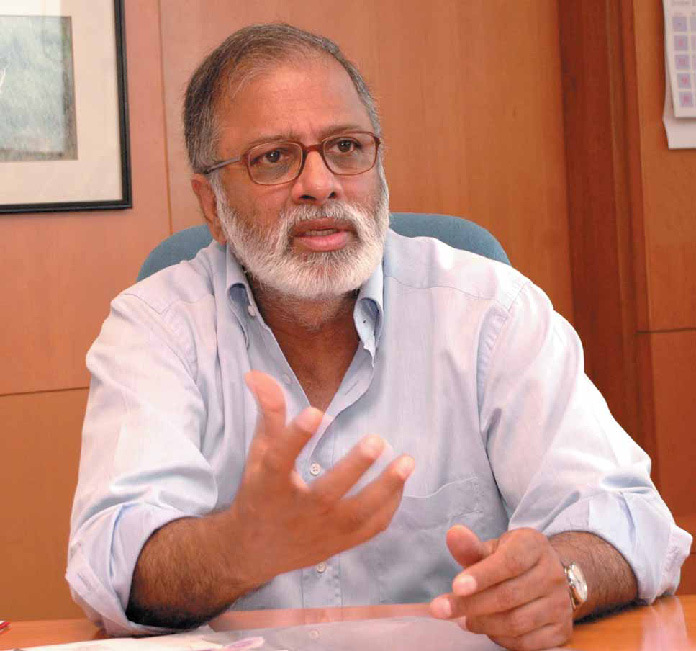 He is also managing director of Shriram Global Enterprises Ltd and Director, Ranbaxy Laboratories Ltd. They have a son named Akshar Vidur Bharatram. Vinayak Bhattacharjee (Vin Bhattacharjee) was born to Tara Gandhi Bhattacharjee & Dr. Jyoti Prasad Bhattacharjee. Vinayak Bhattacharjee's grandfather was Devdas Gandhi & great-grandfather's are Mahatma Gandhi & C. Rajagopalachari, free India's first Head of State, the first Indian Governor General of independent India and one of the foremost fighters for Indian independence. Vinayak Bhattacharjee (Vin Bhattacharjee) is the Head of Intermediary Business and Intermediary Business Group and is a Senior Managing Director of State Street Global Advisors. 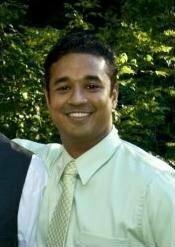 He joined SSgA in 2009 from India Co. Ventures, Ltd., where he was responsible for the strategic development of the business. Prior to this, he was with Barclays Global Investors (BGI) in London, where most recently, he was responsible for the P&L, client and product businesses across Italy, Iberia, and France. He holds a B.Sc. in Economics from the London School of Economics and an M.Sc. in Monetary and Development Economics from BirkBeck College of London University. Vinayak Bhattacharjee is married to Louise Versteegh (Louise Versteegh Bhattacharjee). They have three daughters – India Ananya, Anoushka Lakshmi and Andrea Tara. They live in London, UK. 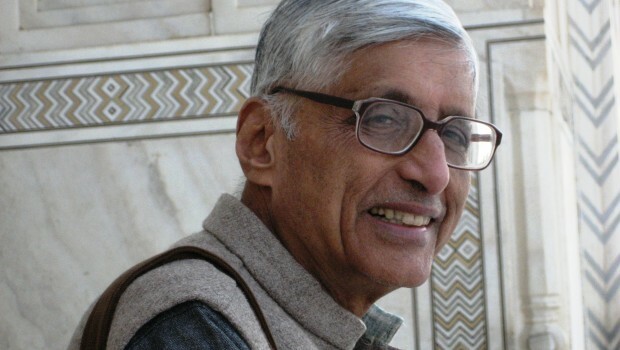 Rajmohan Gandhi (born 1935) to Devdas Gandhi & Lakshmi Gandhi is a biographer and grandson of Mahatma Gandhi, and a research professor at the Center for South Asian and Middle Eastern Studies, University of Illinois at Urbana-Champaign, USA. Rajmohan Gandhi's maternal grandfather was C. Rajagopalachari, free India's first Head of State, the first Indian Governor General of independent India and one of the foremost fighters for Indian independence. 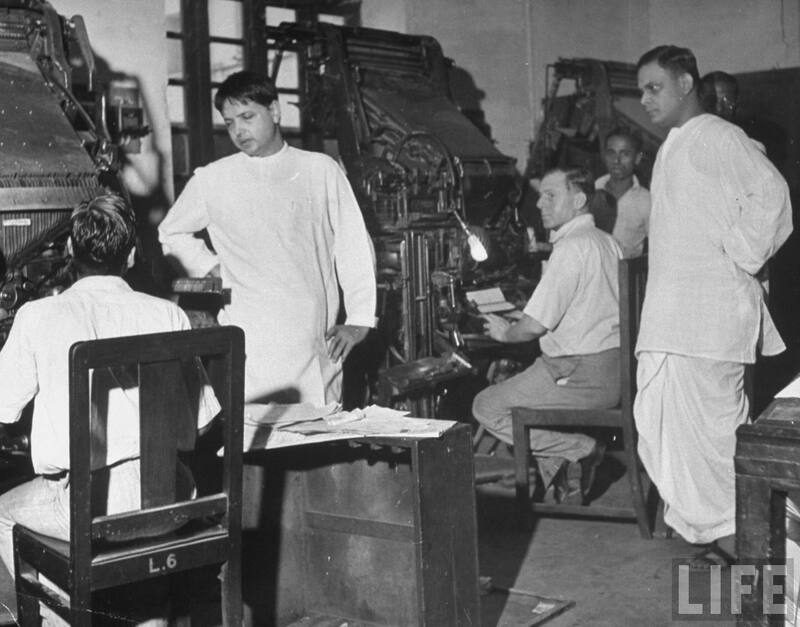 His father was Devdas Gandhi, who was the Managing Editor of the Hindustan Times. He attended St. Stephen's College, New Delhi, India. In the 1960s and early 1970s, he played a leading role in establishing Asia Plateau, the 68-acre (280,000 m2) conference centre of Initiatives of Change in Panchgani, in the mountains of western India. During the 1975-77 Emergency in India, he was active for democratic rights personally and through his weekly journal Himmat, published in Bombay from 1964 to 1981. He contested the Lok Sabha elections in 1989 but was defeated. 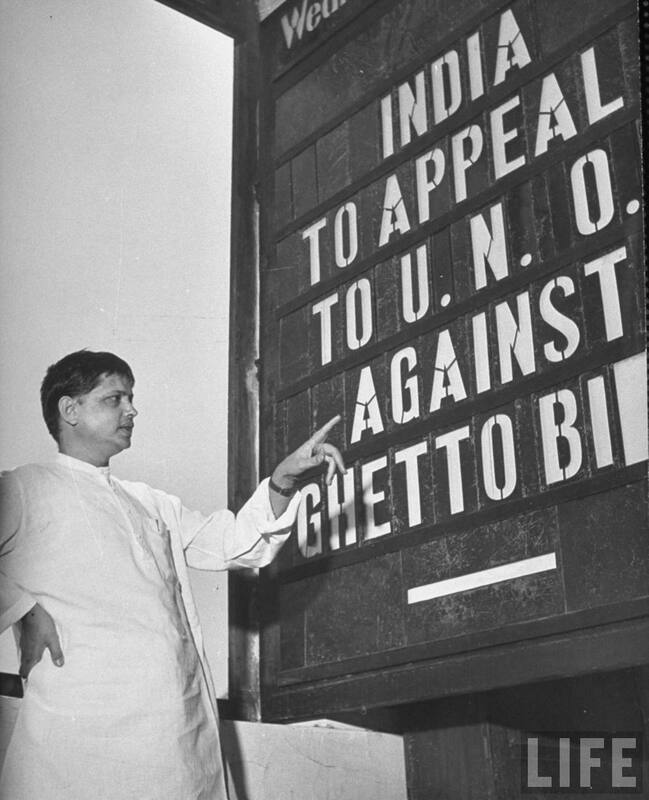 He served (1990–92) in the Rajya Sabha (the upper house of the Indian Parliament) and led the Indian delegation to the UN Human Rights Commission in Geneva in 1990. In the Indian Parliament he was the convener of the all-party joint committee of both houses addressing the condition of Scheduled Castes and Scheduled Tribes. At the University of Illinois he has taught political science and history courses from 1997. His latest book, A Tale of Two Revolts: India 1857 & the American Civil War (New Delhi: Penguin India, December 2009), studies two 19th-century wars occurring in opposite parts of the world at almost the same time. His previous book, a biography of his grandfather Mahatma Gandhi, Mohandas: A True Story of a Man, His People and an Empire, received the prestigious Biennial Award from the Indian History Congress in 2007. It has since been published in several countries. In 2002 he received the Sahitya Akademi (India’s National Academy of Letters) Award for his Rajaji: A Life, a biography of Chakravarti Rajagopalachari (1878-1972), his maternal grandfather and a leading figure in India’s freedom movement, who became the first Indian Governor General, 1948-50. Rajmohan Gandhi is married to Usha (Usha Gandhi). They have two children, Supriya Gandhi and Devadatta Gandhi. Supriya Gandhi was born to Rajmohan Gandhi & Usha Gandhi. Sukanya Bharatram's grandfather was Devdas Gandhi & great-grandfather's are Mahatma Gandhi & C. Rajagopalachari, free India's first Head of State, the first Indian Governor General of independent India and one of the foremost fighters for Indian independence. Supriya Gandhi have a Ph.D. from Harvard University on South Asian Studies. She currently teaches at University of Pennsylvania, US. 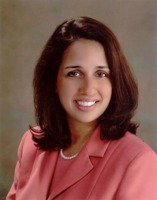 Supriya Gandhi is married to Travis Zadeh who is of mixed American-Iranian parentage. He have a Ph.D. from Harvard University. He teaches at Department of Religion, Haverford College. They have a son named Anushirvan Gandhi-Zadeh. 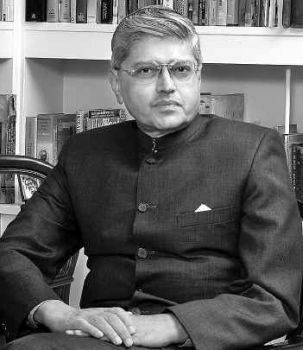 Devadatta Rajmohan Gandhi was born Rajmohan Gandhi & Usha Gandhi. Sukanya Bharatram's grandfather was Devdas Gandhi & great-grandfather's are Mahatma Gandhi & C. Rajagopalachari, free India's first Head of State, the first Indian Governor General of independent India and one of the foremost fighters for Indian independence. 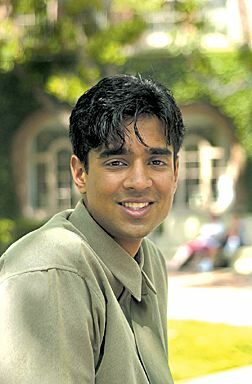 Devadatta Gandhi graduated from University of Michigan Law School. Upon graduating from law school, he served as an Assistant Counsel to the Illinois House of Representatives Speaker for the Spring 2009 legislative session. During law school he served as a columnist for the Michigan Daily and published a policy article in the UC Davis Environs Environmental Law and Policy Journal. 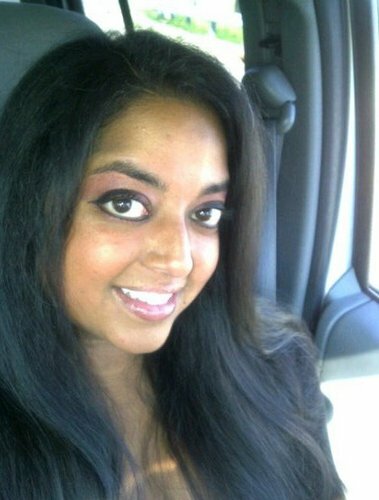 Devadatta Gandhi is a Staff Attorney/Legislative Analyst in Washington, DC. Ramchandra Devdas Gandhi (born June 9, 1937 – June 13, 2007) was an Indian philosopher, a student of Peter Strawson. He was the youngest son of Devdas Gandhi & Lakshmi Gandhi & Mahatma Gandhi's grandson. 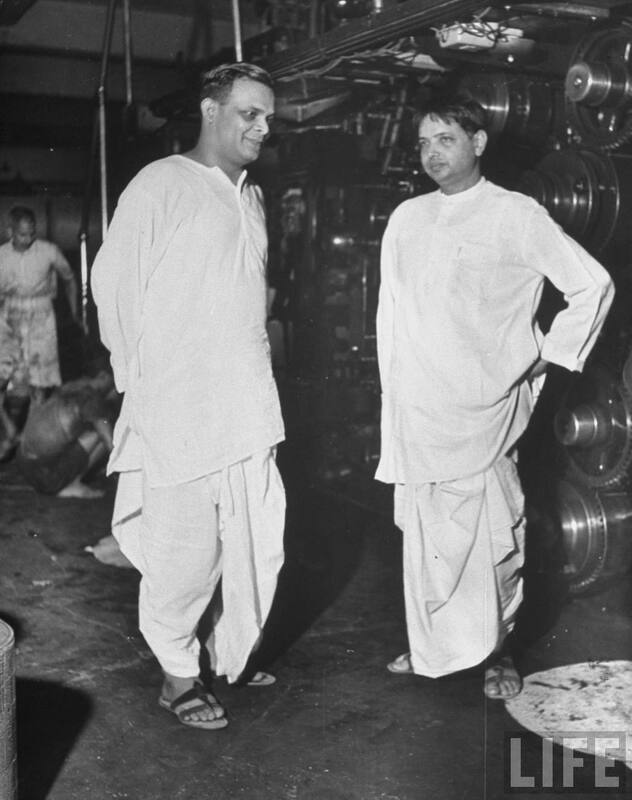 Ramchandra Gandhi's maternal grandfather was C. Rajagopalachari, free India's first Head of State, the first Indian Governor General of independent India and one of the foremost fighters for Indian independence. Ramchandra Gandhi founded the philosophy department of University of Hyderabad. He also taught at Visva-Bharati University, Punjab University, California Institute of Integral Studies in San Francisco, CA, and finally Bangalore University until dying in the India International Centre on 13 June 2007. His books such as 'Sita's Kitchen' and 'Svaraj' offer a peepshow into his remarkably original mind. He was also a dedicated member of the Philosophy Society of St Stephen's College. He had doctoral degrees in philosophy from Delhi and Oxford. An author of several books on philosophy, Ramchandra Gandhi had also written and produced several plays and a film on his grandfather, Mahatma Gandhi. 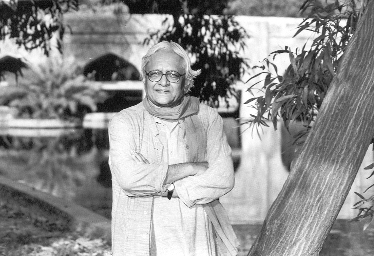 He had several books to his credit, including Sitas's Kitchen, Svaraj: A Journey with Tyeb Mehta's 'Shantiniketan Tryptich, Munniya's Light and others. 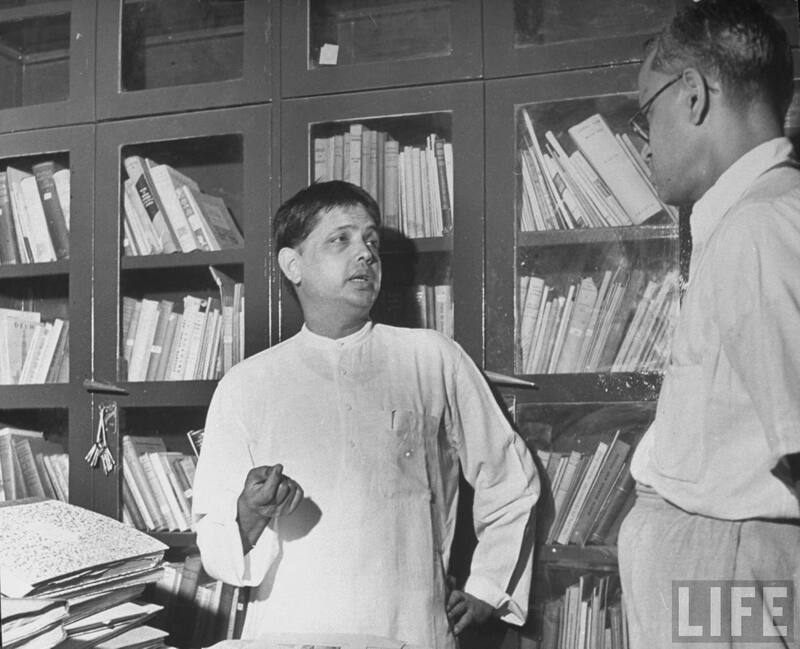 Munniya's Light was Ramachandra Gandhi's maiden venture into fiction. A renowned playwright, Ramchandra Gandhi researched and wrote six plays, each dealing with spiritual greats like Ramakrishna Paramhansa, Swami Vivekananda, Francis of Assisi and Ramana Mahanti through the abhinaya of Narayan. His Kathak-based dance-drama Sanmati — which was based on Chapters VI to X of Mahatma Gandhi's Experiments with Truth — earned him a lot of accolade. Ramchandra Gandhi was married to Indu Gandhi. They have a daughter named Leela Gandhi. 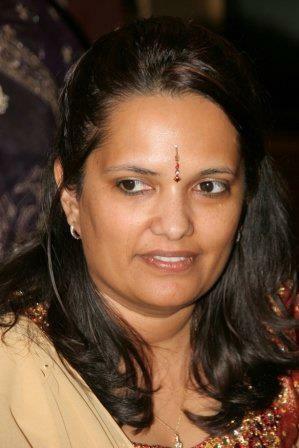 Leela Gandhi was born in 1966, Mumbai, India to Ramchandra Gandhi & Indu Gandhi. Leela Gandhi is the granddaughter of Devdas Gandhi & great-granddaughter of Mahatma Gandhi. She received her D.Phil and M.Phil from the University of Oxford, and has previously taught at the University of Delhi and La Trobe University. 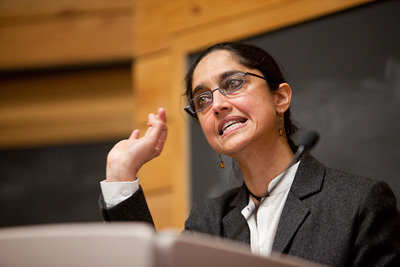 Leela Gandhi is Professor of English at The University of Chicago and a noted academic in the field of postcolonial theory. She is the co-editor of the academic journal Postcolonial Studies, the author of the summary text Postcolonial Theory: A Critical Introduction and she serves on the editorial board of the electronic journal, Postcolonial Text. Gopalkrishna Devdas Gandhi (born April 22, 1945) was the Governor of West Bengal serving from 2004 to 2009. He is the grandson of Mahatma Gandhi, and son of Devadas Gandhi and Lakshmi Gandhi. 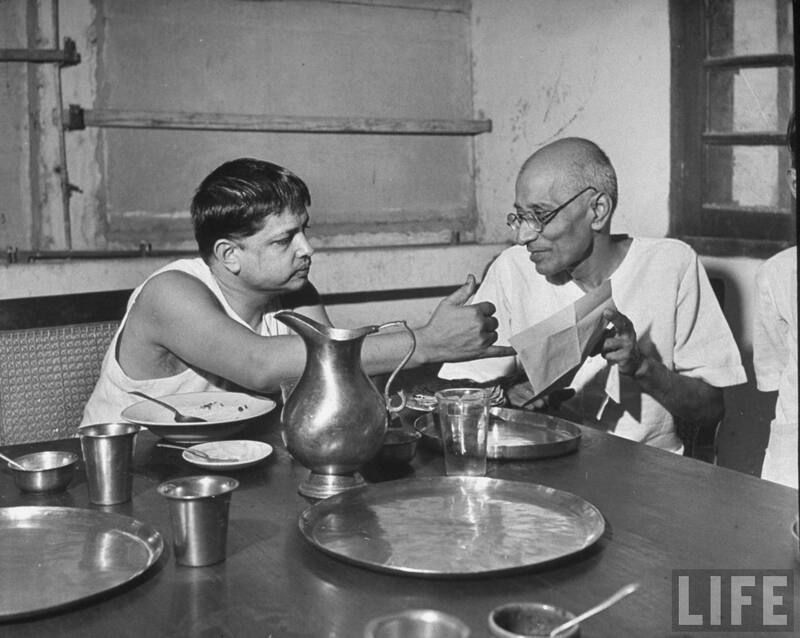 Gopalkrishna Gandhi's maternal grandfather was C. Rajagopalachari, free India's first Head of State, the first Indian Governor General of independent India and one of the foremost fighters for Indian independence. As a former member of the Indian Administrative Service, he served as Secretary to the President of India and as High Commissioner to South Africa and Sri Lanka, among other administrative and diplomatic posts. Gopalkrishna Gandhi graduated with a master's degree in Literature from St. Stephen's College of Delhi University. He has authored one novel (Saranam - "Refuge" in English) and a play in verse (Dara Shukoh).His other books are - "Gandhi and South Africa", "Koi Acchha Sa Ladka" (translation into Hindustani of Vikram Seth's novel 'A Suitable Boy'), "Gandhi and Sri Lanka", "Nehru and Sri Lanka", "India House, Colombo - Portrait of a Residence", "Gandhi Is Gone. Who Will Guide Us Now?" (edited), "A Frank Friendship/ Gandhi and Bengal: A Descriptive Chronology" (compiled and edited). Gopalkrishna Gandhi is the Chairman of Kalakshetra Foundation, Chennai since December 2011. He was appointed the chairman of governing body of Indian Institute of Advanced Study, and president of its society on March 5, 2012. Gopalkrishna Gandhi is married to Tara Gandhi. 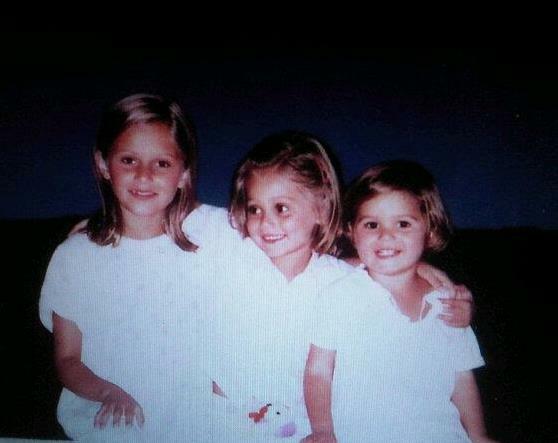 They have two daughters Divya Gandhi & Amrita Gandhi. Divya Gandhi was born to Gopalkrishna Gandhi & Tara Gandhi. Divya Gandhi is the granddaughter of Devdas Gandhi & great-granddaughter of Mahatma Gandhi. 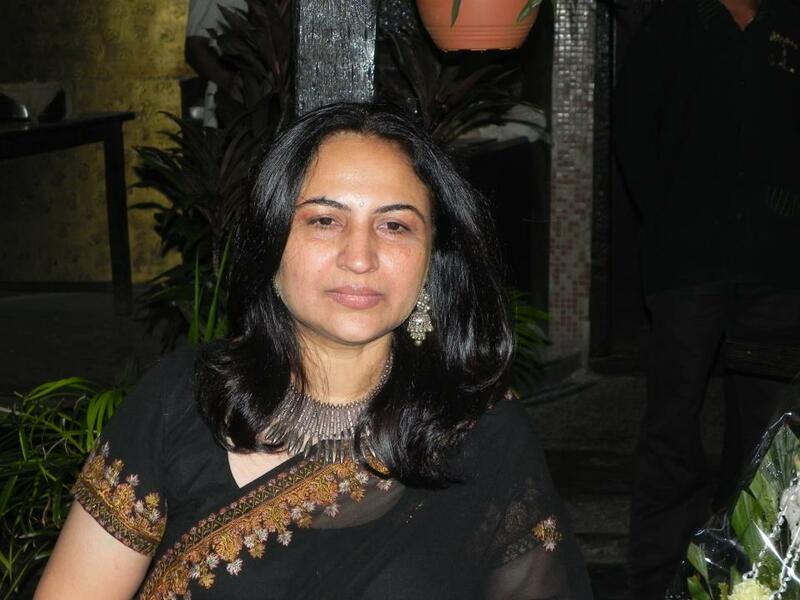 Divya Gandhi is a Hindu Newspaper Journalist based in Bengaluru. 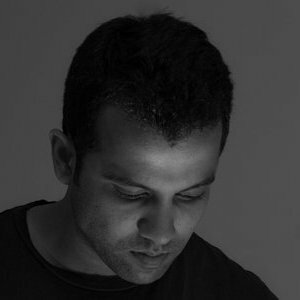 Divya Gandhi is married to Rustam Vania, faculty member at the Bangalore based Srishti School of Art, Design and Technology. He is a graphic designer & cartoonist. They have a daughter named Noori Vania. They live in Bengaluru. Amrita Gandhi was born to Gopalkrishna Gandhi & Tara Gandhi. Amrita Gandhi is the granddaughter of Devdas Gandhi & great-granddaughter of Mahatma Gandhi. 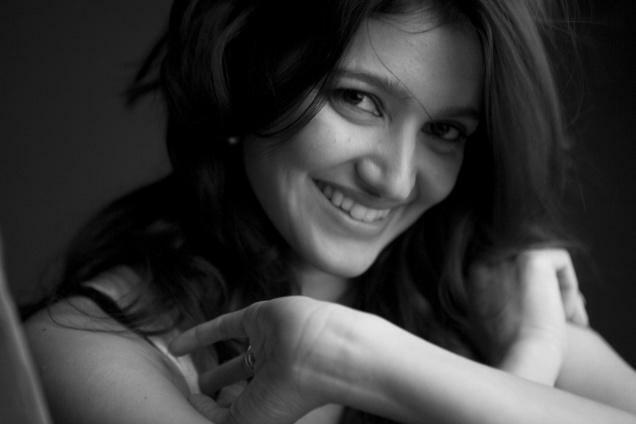 Amrita Gandhi is a TV Show Host - Royal Reservation-Project Living on NDTV Good Times. Amrita Gandhi is married to Mukund Venkatesh, he is the Vice President and General Manager of Global Analytics, India Operations. MIT-educated Mukund Venkatesh joined Global Analytics from Pivotal Systems, a successful tech startup he co-founded and served as Vice President of Sales and Marketing. They have a daughter named Siya. The couple live in Delhi. This leaves out Gandhi's untouchable adopted daughter, Lakshmi. 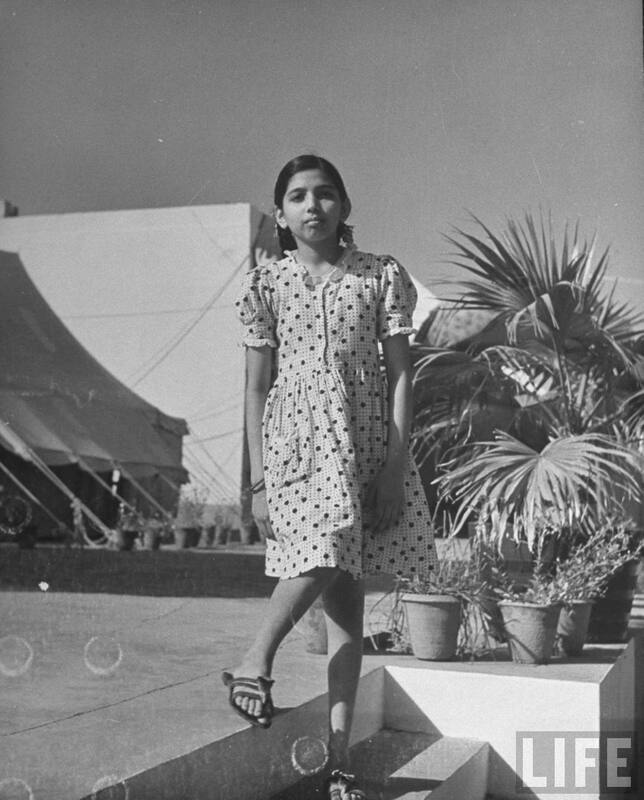 She was the daughter of Dudabhai who brought his family to the Sabarmati ashram. Thanks for filling up the missing information. It would be interesting and invaluable to record your version in detail. 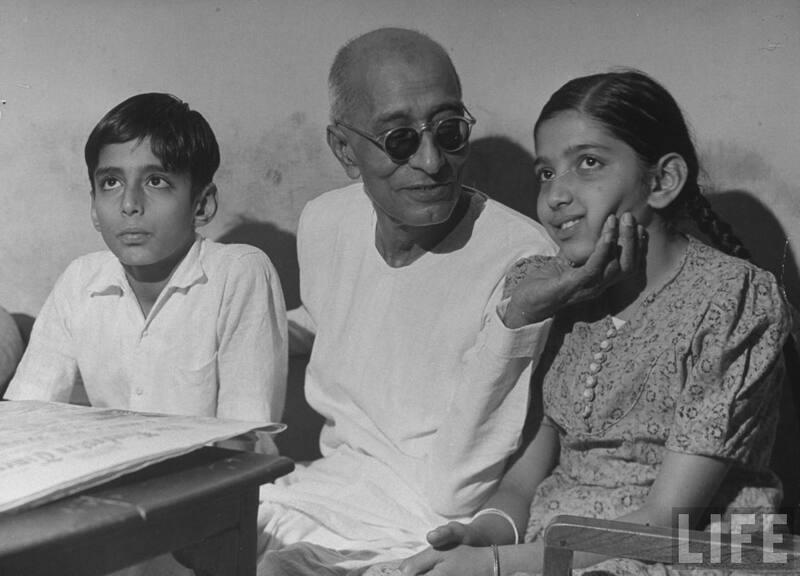 Photo of C. Rajagopalachari with his grandchildren has baby Gopalkrishna Gandhi sitting on the lap of Sumitra Gandhi, the daughter of Ramdas Gandhi. It seems incorrect not to put her name in the list below the photo. Please add the name. Thx for highlighting the errors sir/madam. I have rectified the mistakes. Hope u liked the post. I truly appreciate ur feedback. 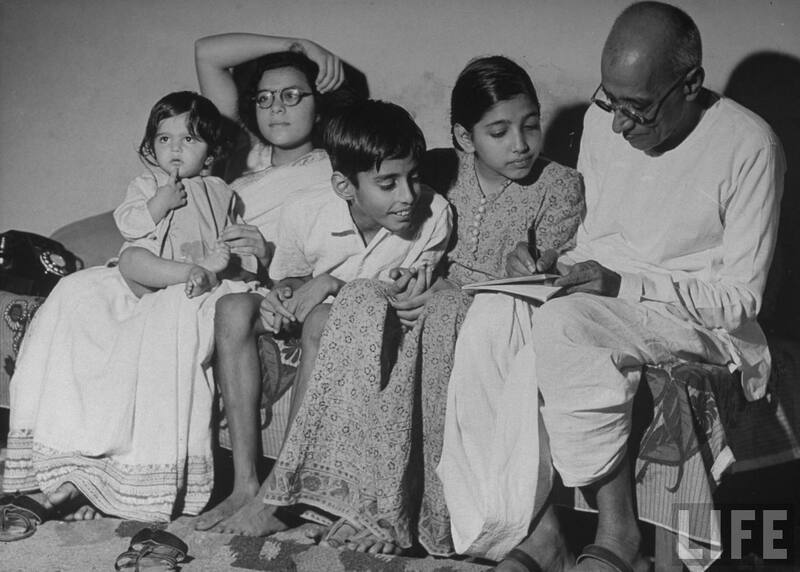 The photo of C. Rajagopalachari with his grandchildren has baby Gopalkrishna sitting on the lap of Sumitra Gandhi, the daughter of Ramdas Gandhi...isn't it appropriate to mention this detail in the photo commentary? 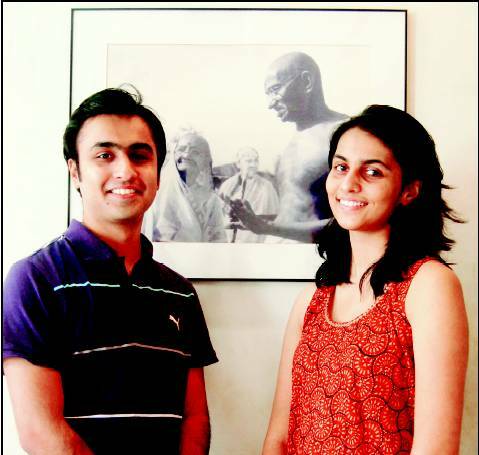 Sumitra Gandhi is now the eldest living grandchild of the Mahatama. She was 19 when he was assassinated. It was her father Ramdas Gandhi who lit the funeral pyre at the funeral of the Mahatama. Freedom at Midnight has wrongly cataloged Devdas Gandhi as the son who lit the pyre. Sumitra Gandhi wanted to study at Shantiniketan, but the Mahatama felt that after the passing of Gurudev, it was no more the same. It was on the insistence of Madan Mohan Malaviya that Bapu agreed to allow Sumitra Gandhi to study at Banaras Hindu University. Sumitra was bought up at Sevagram Ashram. All the children of Ramdas Gandhi were brought up at Sevagram Ashram near Wardha...Bapu's ashram in India. Kanu Ramdas Gandhi got a Bachelors Degree in Mechanical Engineering from College of Engineering Pune, which he followed up with a Graduate Degree from MIT Boston, USA. Ramdas Gandhi and his wife Nirmala Gandhi lived their entire lives in the Gandhi Ashram at Sevagram. 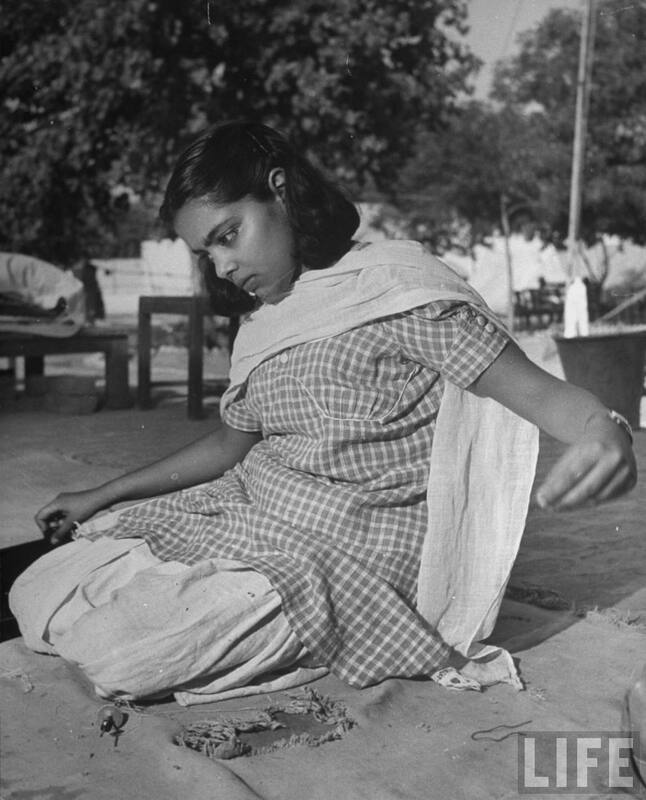 Ramdas Gandhi died in 1969, while Nirmala Gandhi died in August 2000 in Sevagram. Thank you so much for accepting the inputs and making the site more complete and authentic. Probably you should get photos of Nirmala Gandhi, Prof. Kulkarni, Nilu Kulkarni and Vishnu Kulkarni too. Kanu Gandhi is married to Shiva Lakshmi not Batsheva. It is probably better to say that Ramdas Gandhi was austere and frugal to a fault. Any old generation at Sevagram Ashram will attest to this. He was called Bhaiji at the Ashram. He was a bhakta of Bhagwan Sri Ramana Maharishi. It is not appropriate to say that he had no taste for asceticism. Asceticism was not a trait that was expected of any of the Mahatama's children. Ramdas Gandhi was at the forefront of the Dandi Salt Satyagraha. He led the team which had Morarji Desai and S.B. 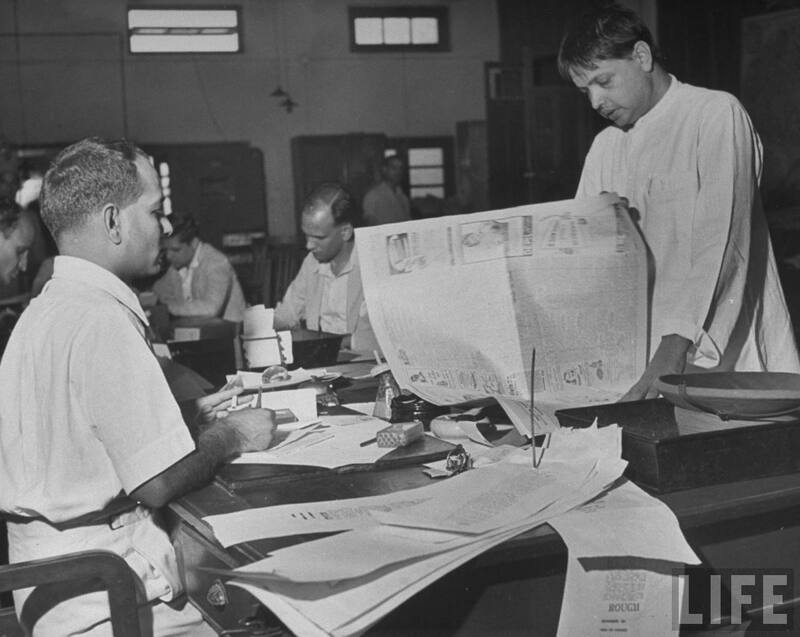 Chavan as volunteers. He wrote his memoirs in Gujarati, titled "Sansmarano"..he was probably as Gandhi as you can get...probably the most of Gandhi's children. It's unbelievable, but true, that now your site has (by accepting to change the credit on the photo of Rajgopalachari with his grandchildren, and including the name of Sumitra Gandhi) surpassed Time LIFE. 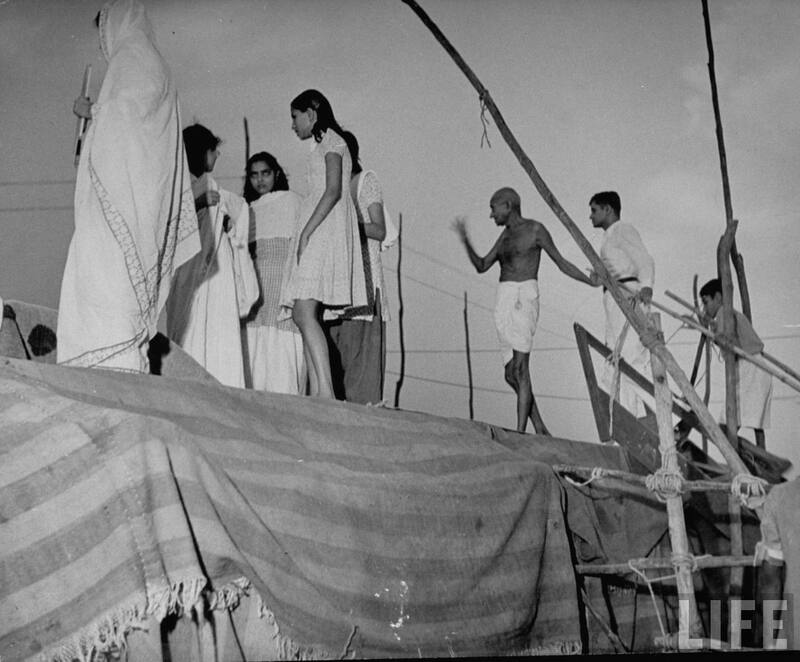 In the picture by Margaret Bourke White, Sumitra Gandhi is there, but here name is conspicuously missing. Hello Syamala, please do not say sorry. The effort you have put in your website is huge and commendable. I just wanted to share some details with your readers, that will give a personal touch. Especially about Ramdas Gandhi. Not much is written about him as he never sought attention of any kind. There is an episode that happened on Jan 30, 1962. Mr. Nehru was still alive. Ramdas Gandhi was at the prayer meeting at Birla house. After the prayers as a mark of respect, Ramdas Gandhi walked up to Mr. Nehru (in those days there were probably fewer hangers on and probably no security) and folding his palms in pranam, introduced himself as "mein Ramdas". To this Mr. Nehru replied...Ramdas kaun? At this point, Ramdas Gandhi just did a pranam and walked away. This was narrated to me by someone who was there at the venue on that day and witnessed this exchange. What do you make of this? First, probably, Mr. Nehru did not bother to know even the sons of the person whose prayer meeting he was attending !! And what does it tell you about Ramdas Gandhi?? Polite, superb control on his ego and just as Gandhiji would wish him to be...as Gandhi as Gandhi can be. You have not written much about Ramdas Gandhi, but all the other 3 sons have been well represented. I felt it important to contribute so as to fill in the gaps. In most commentaries, you will note, nothing substantial is ever written about Ramdas Gandhi...but that doesn't mean he did not live a substantial life. 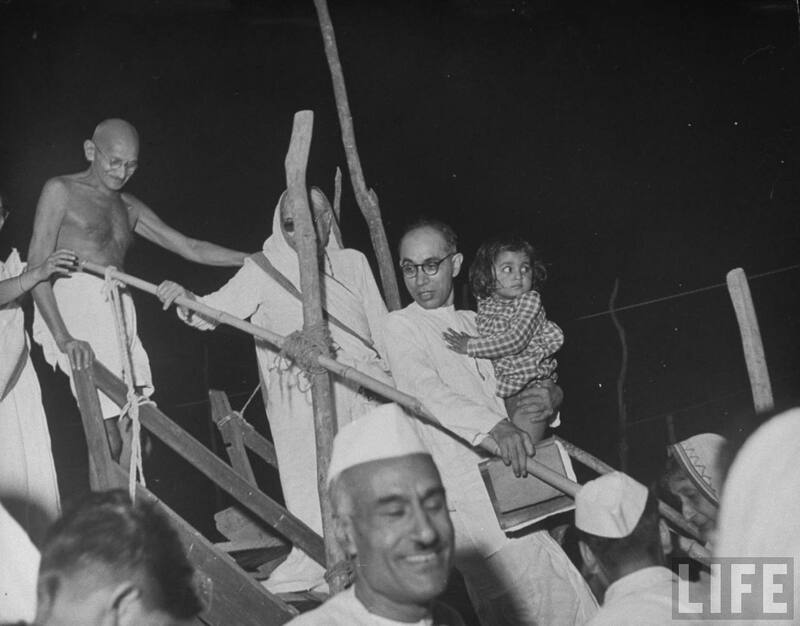 Just as a poser to you, do you think Time LIFE and Margaret Bourke White would not put the name of Sumitra Gandhi in the photo if they had known who she was? Probably, they did not know who this young lady was. Probably Sumitra Gandhi was never introduced to the photographer? Do try and put the relevant details from my above contributions. Anyhow, I am ever so grateful. Btw, where did you get the various photos from? While I do not dispute your recollection of the event, let me recall an event in a small town of Ramanagaram in 1962. Pandit Nehru made a brief stop when he was introduced to a local lady who spent her childhood in Allahabad while her father practiced as a junior. Pandit held both her hands against his forehead and fondly and respectfully remembered: "Oh! Shastri-ji! You are his daughter!!". So, may be it is not correct to impute motivations. At 73, his memory might have experienced its ups and downs. Thank you for taking the efforts in documenting this. I always wanted to know more about Gandhiji and his family. Your efforts are very much appreciated. I hope you keep this post live and documented. I have not seen such a depth of information on Gandhiji and his family anywhere - such dedicated consolidation of one of India's greatest sons and his family is very commendable. Please keep up the good work, well done! This is amazing! Great insight into the present day Gandhi family. I am impressed with Symala and Anonymous for their efforts and the mutually helpful collaboration. We need this kind of ego submergence Nationwide. On a different note, it is interesting how a majority of the Gandhis have nothing to do with India. Please Keep up the good work..very informative and thanks for the hard work that you have put in. its grt, we have to remind ghandhi ji & ur family was not seen in politics.u have to come forward and rule the nation. Great work this. Loved it. The very first pic was taken in 1899. It has Harilal, Manilal and Ramdas. 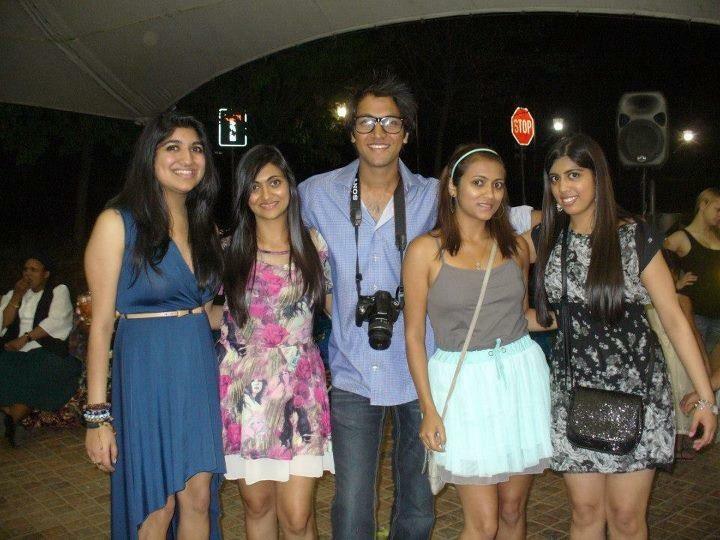 The boy to the extreme left is Gokuldas Gandhi, one of MKG's nephews. Devdas Gandhi was born a year later in 1900. You are to be greatly commended for this labour of love and important historical contribution in tracking down pictures of almost everyone of Mahatma Gandhi's direct descendants. From this site, it is easy to see that the contributions of Gandhiji's family is second to no other in all of India, all done modestly and without boasting, fanfare or chamchagiri. We salute this great Indian family. Thank You thanks a lot for this info!!! Thanx for the information and probably the best use e info. Good collection of pic. Also thanx to all those added/corrected the info.soory to those who wants to make it a issue out of this info. It was very useful to understand the Gandhiji's family. Thanks for the effort taken for this blog. You seem to have important and rare information. It would be invaluable to publish the details for the sake of those who revere the mahatma. While Gandhi ji was a noble person, a saintly person, why are these Gandhis in the ruling party o f India defaming him -his name by their actions? Will this not be like defaming a saint, there won't be any harm to the saint but these people shall never be spared by the almighty. This is superb effort to chronicle the great man’s descendants. Thank you very much. It shows none of the Gandhi clan, NONE, clamoured for the fruits of his 'sacrifice' in a way that is so blatant these days by namesakes. And yet, all of them are highly accomplished individuals in their own rights without taking any doles or still worse fleecing the system.. Story about Nehru and Ramdas Gandhi shook me up from within. Great work, astounding. I feel so proud to be from the same country as the Mahatma, as though we own him, that I forgot that he has a huge family of his own. That is his greatness, he belonged to us. Monumental work. Hope some day I would bump into a descendant of the greatest soul. In fact Gandhi's family should be treated as the first family of India. But destiny thrust it on Nehru's. How about the idea of getting at least a dozen of them on to a platform and announce that here are the symbols of simplicity, here are people who are not at all ostentatious, never craved for publicity and never cared for government patronage. It is so overwhelming to get a rare glimpse into Gandhiji's life and family. Brilliant snaps! Where is Indira gandhi, rajeev, sanjoy, varun, priyanka, rahul gandhi? I always wanted to know more about Mahatma's family. Never knew that it is available here. A great work done the author/compiler. I completely agree with a comment above that today's members of the First Family of India- Ganghiji's and Kasturba's- must be in some manner brought to the public domain...they being so Gandhi-like in their simplicity, and normalcy. A great piece of work to bring together information on a family which every Indian should know. The humility with which the family has lived is something present day political dynasties should learn from. This work should be publicized much more. Many thanks to the Author for this precious blog. Lots of respect to the Gandhi family defining their own paths instead of cashing in on. You guys deserve accolades with respect.